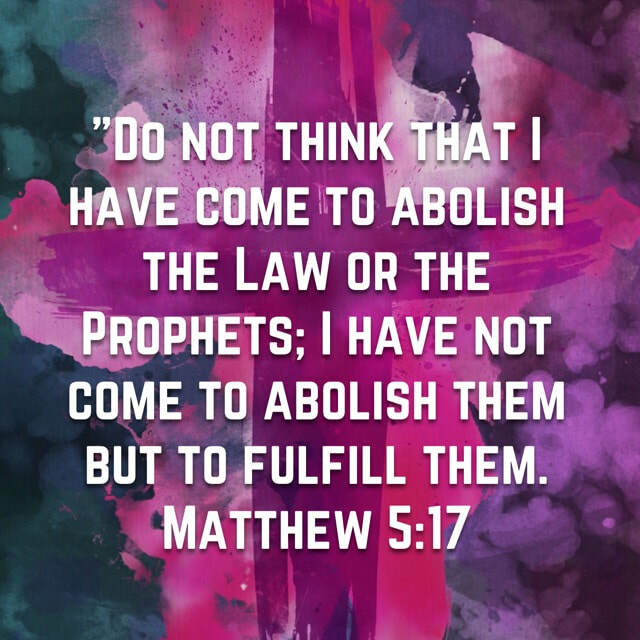 Matthew 5:17 ~ "Do not think that I have come to abolish the Law or the Prophets; I have not come to abolish them but to fulfill them." 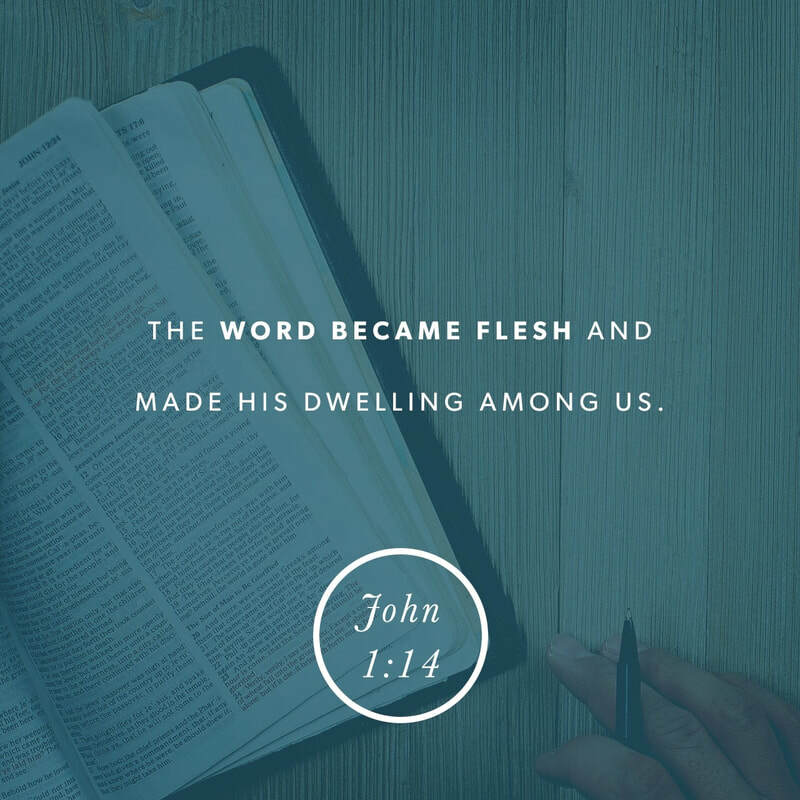 ​Jesus did not get rid of the Old Testament. His mission was not to get rid of the Law. 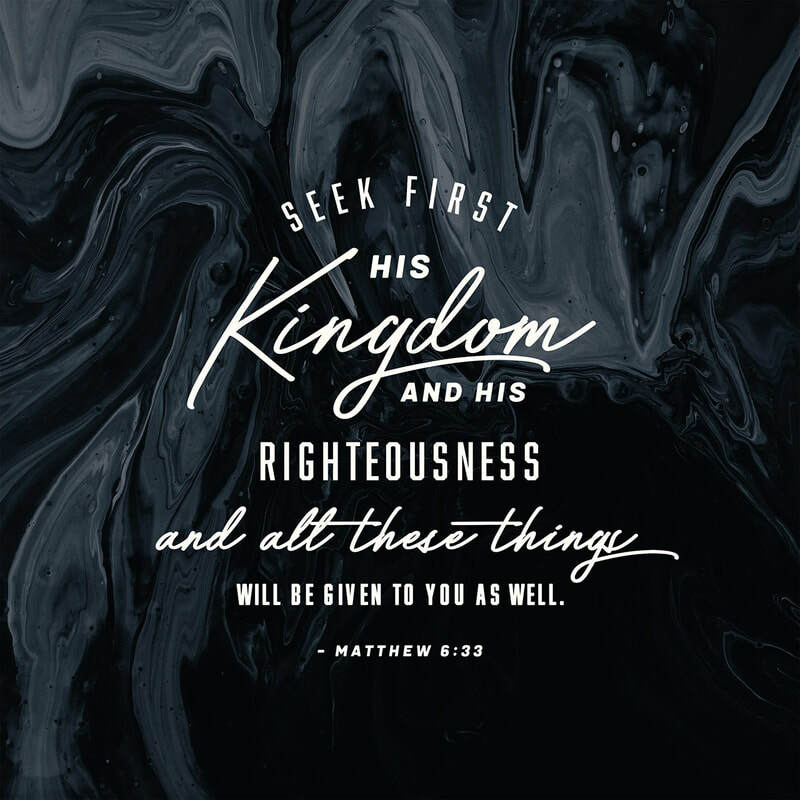 Matthew 6:33 ~ "But seek first the kingdom of God and his righteousness, and all these things will be added to you." I am the worst about trying to follow rules and making sure others are following them. I've always liked rules. But rules are hard. You have to not only know the rules, but more, you have to understand the rules. 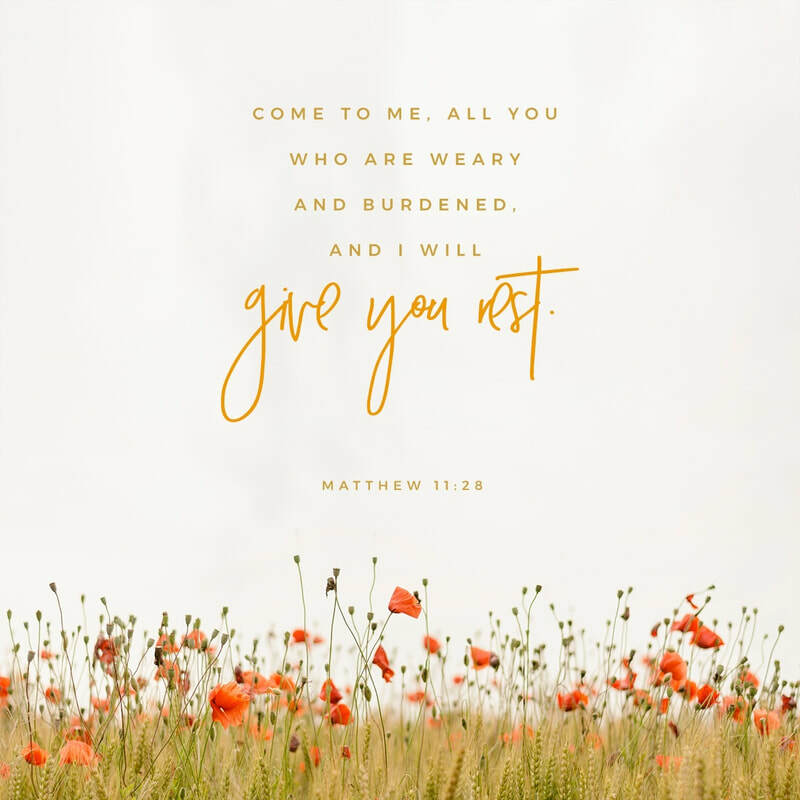 Matthew 11:28 ~ " Come to me, all who labor and are heavy laden, and I will give you rest." 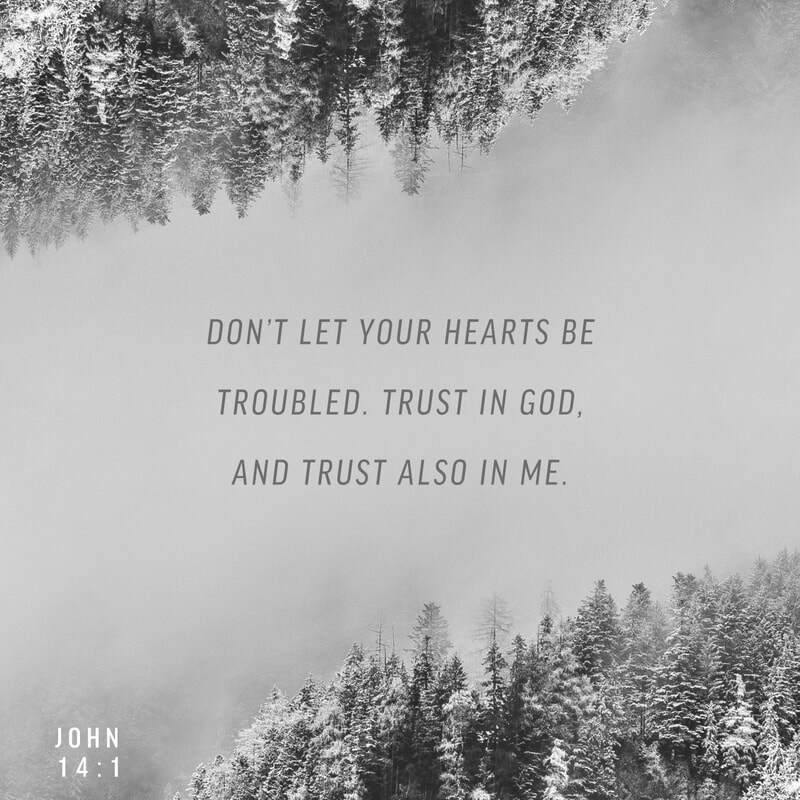 ​So many of us try to be "good enough," to gain approval from God, but the better you become the more you realize God's standard is even higher. 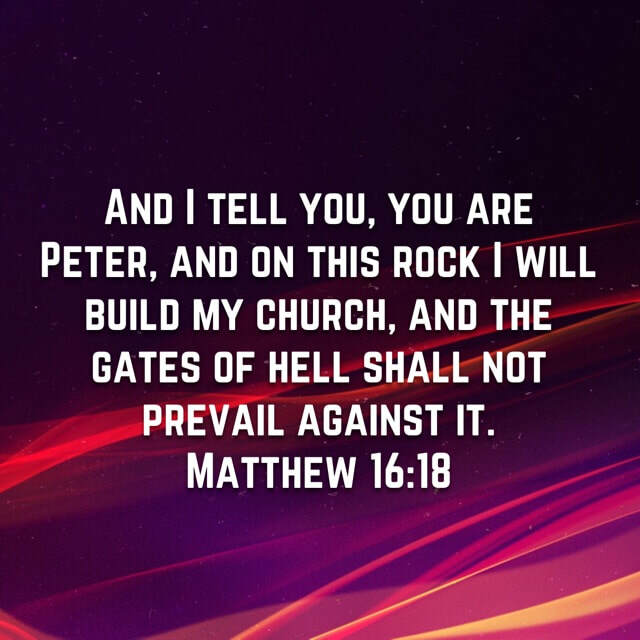 Matthew 16:18 ~ "And I tell you, you are Peter, and on this rock I will build my church, and the gates of hell shall not prevail against it." 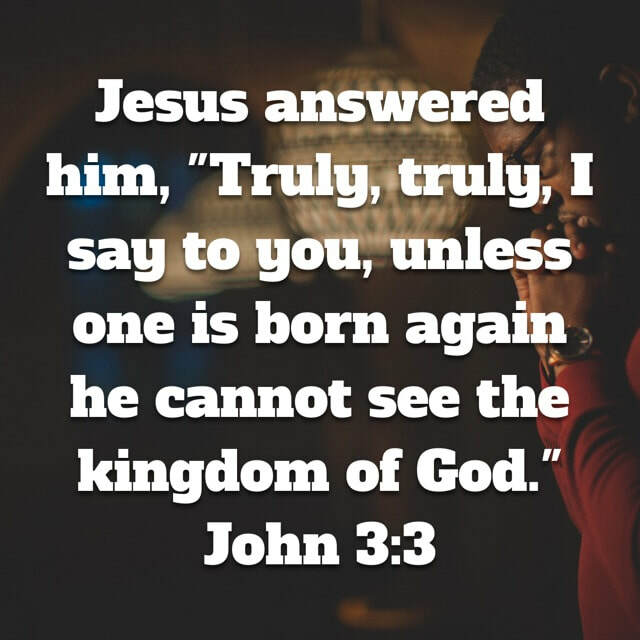 Peter had just affirmed that Jesus was the Christ, God's Son. 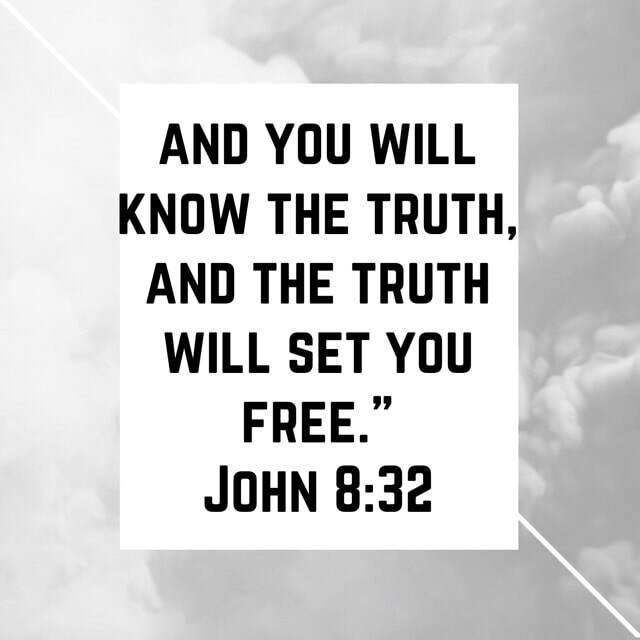 This truth is unflinching and the rock that the Christian church is built on. 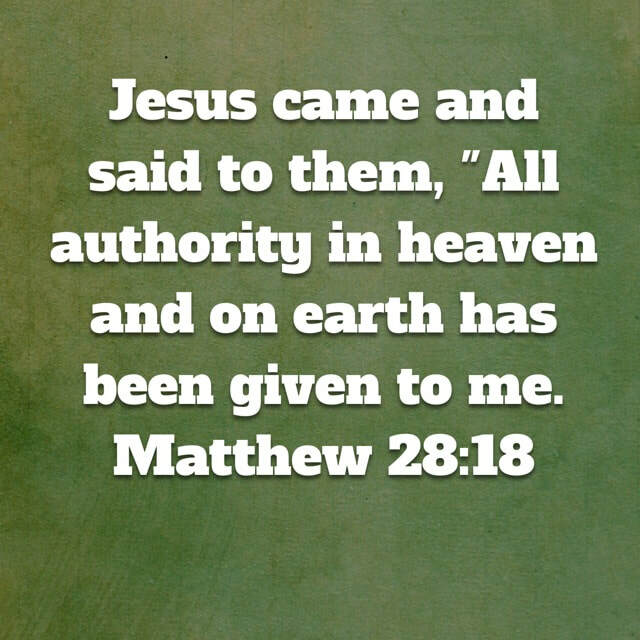 Matthew 18:18 ~ "And Jesus came and said to them, “All authority in heaven and on earth has been given to me." 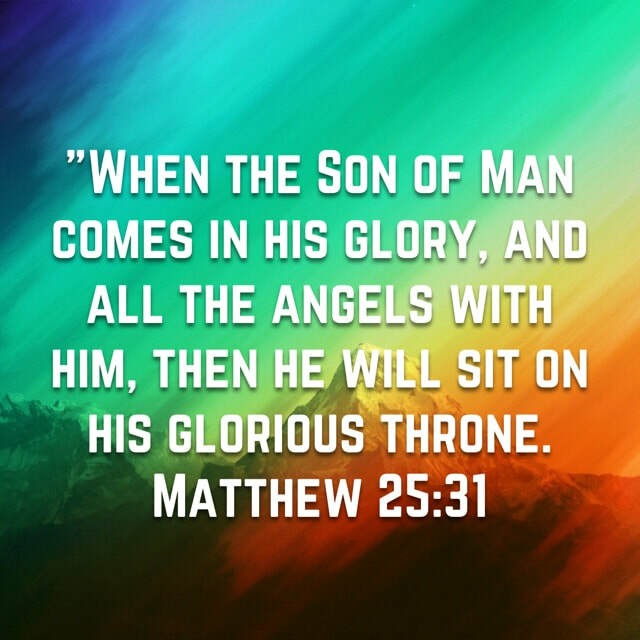 Matthew 25:31 ~ "When the Son of Man comes in his glory, and all the angels with him, then he will sit on his glorious throne." ​As a follower of Jesus, this is what I have to look forward to. 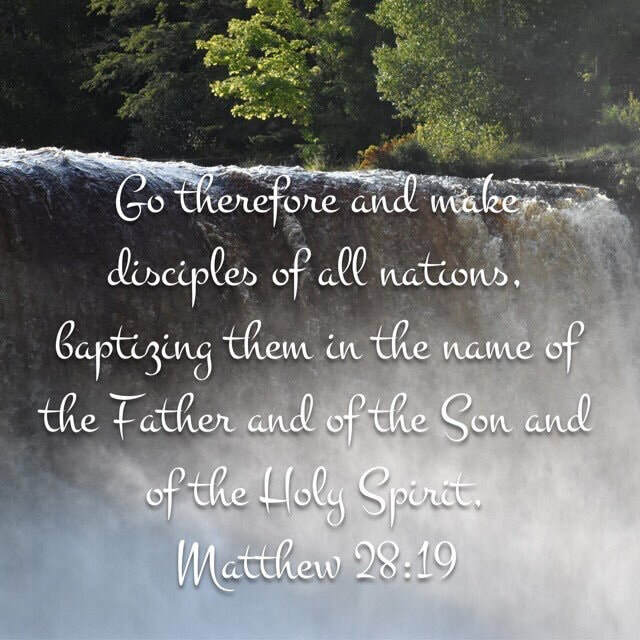 Matthew 28:19 ~ "Go therefore and make disciples of all nations, baptizing them in the name of the Father and of the Son and of the Holy Spirit,"
​This is not optional. This is not only for ordained ministers. 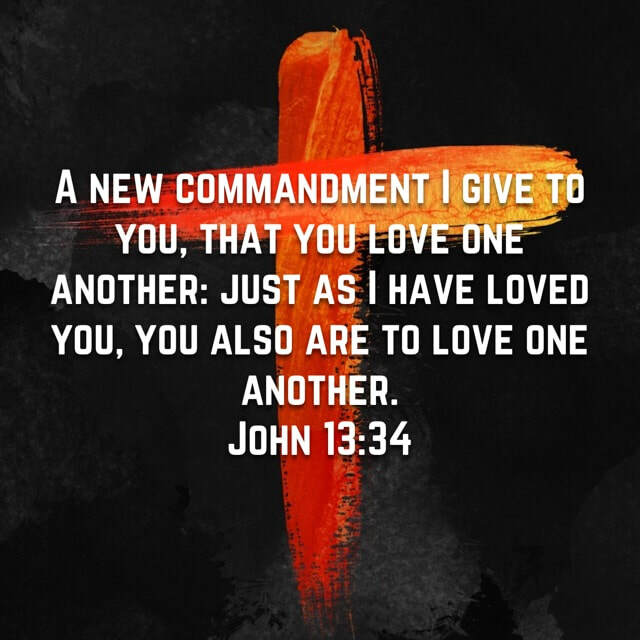 This is as much your command as it is Billy Graham's. 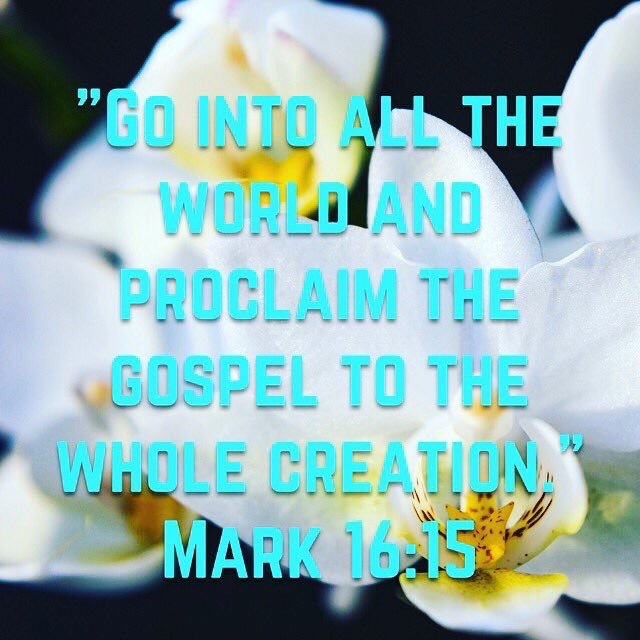 Mark​ 16:15 ~ "And he said to them, “Go into all the world and proclaim the gospel to the whole creation."" 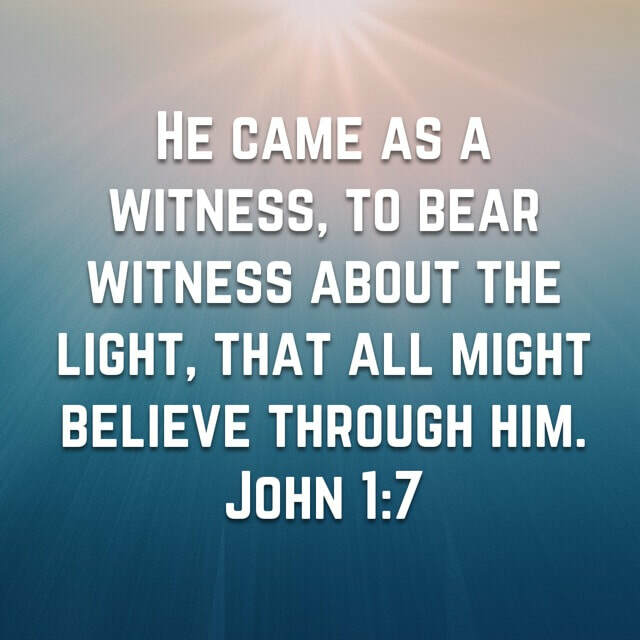 In order to proclaim the gospel to the whole creation we must GO and not delay. 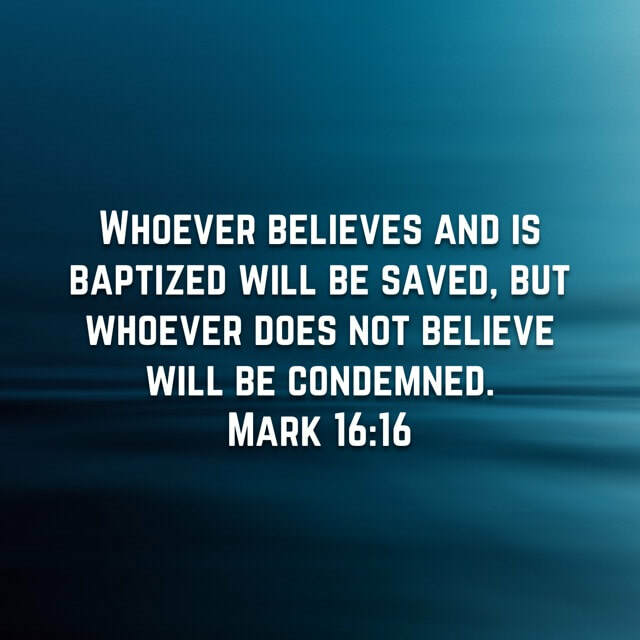 Mark 16:18 ~ "Whoever believes and is baptized will be saved, but whoever does not believe will be condemned." "WHOEVER" not few, or some or most, but this is open to WHOEVER. John 3:16 ~ "“For God so loved the world, that he gave his only Son, that whoever believes in him should not perish but have eternal life." 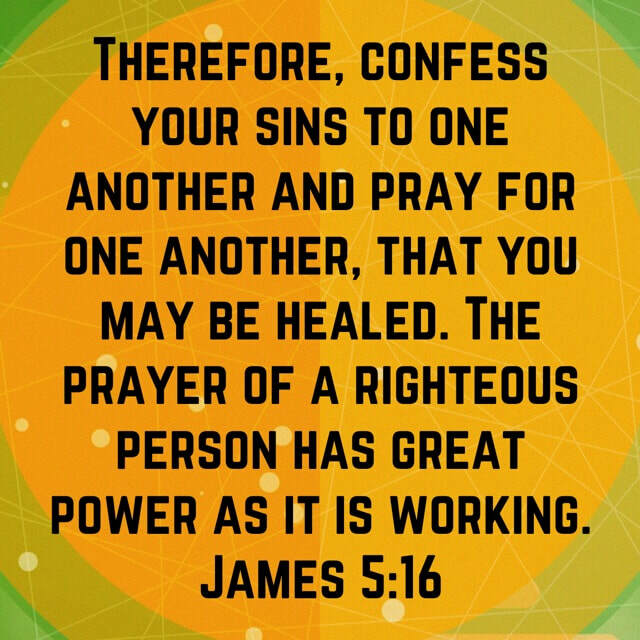 Jesus did not say, "you might receive power," or "some of youwill receive power." He clearly said, "you will." 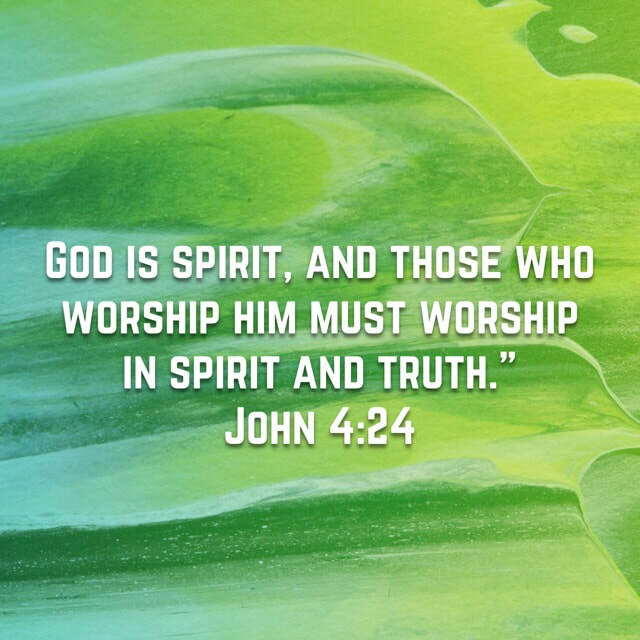 When the Holy Spirit comes on you, there is no denying that you are HIS! 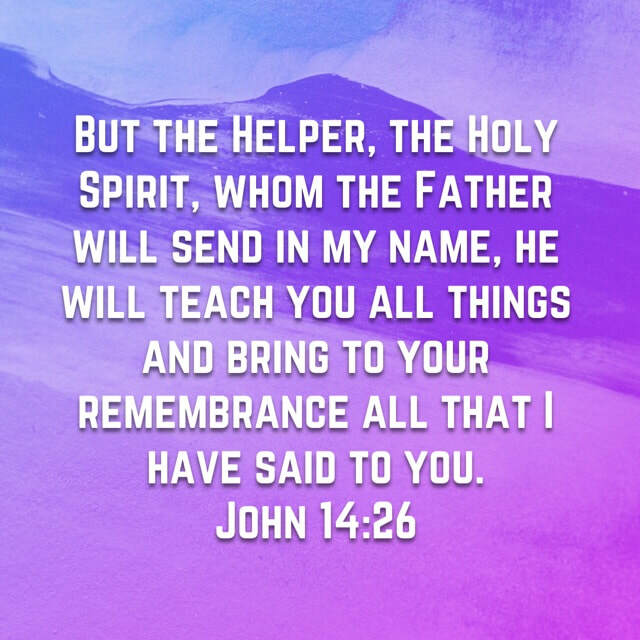 Now if you are His, you have received the Holy Spirit. 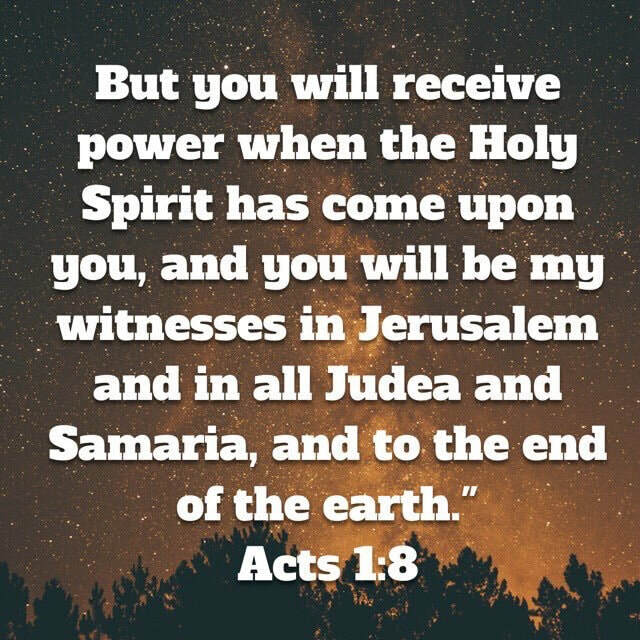 And, if you've received the Holy Spirit it is your job to be His witnesses. 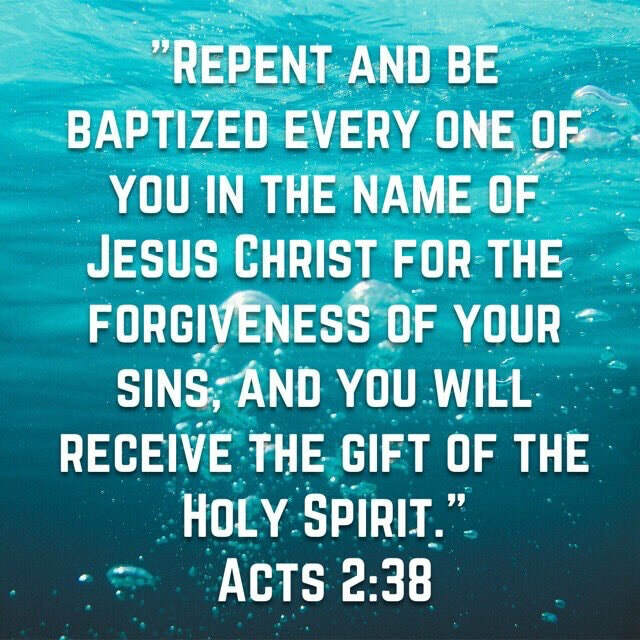 Acts 2:38 ~ "And Peter said to them, “Repent and be baptized every one of you in the name of Jesus Christ for the forgiveness of your sins, and you will receive the gift of the Holy Spirit." Once again there is no "you might get the Holy Spirit," or "some of you will get the Holy Spirit," or even "most of you." His wording is plain. 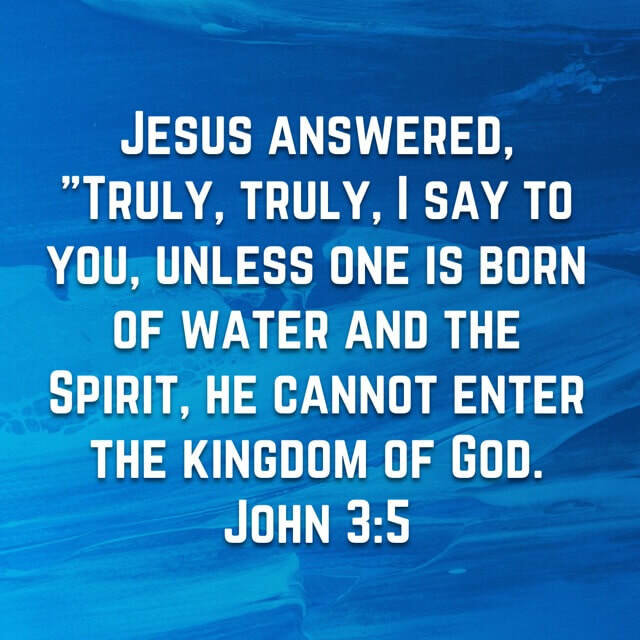 Repent of your sins, be baptized, receive Jesus and the Holy Spirit comes as well. The bottom line is: you can look as long and far as you want to, but you aren't going to find another salvation. 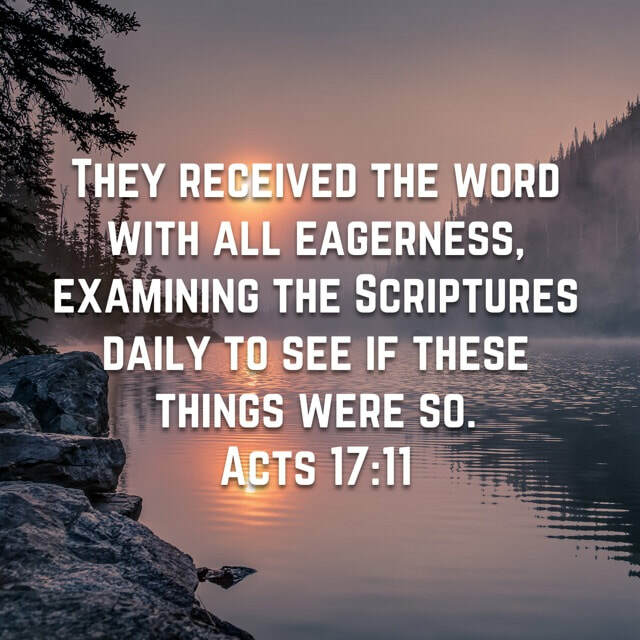 Acts 17:11 ~ "Now these Jews were more noble than those in Thessalonica; they received the word with all eagerness, examining the Scriptures daily to see if these things were so." 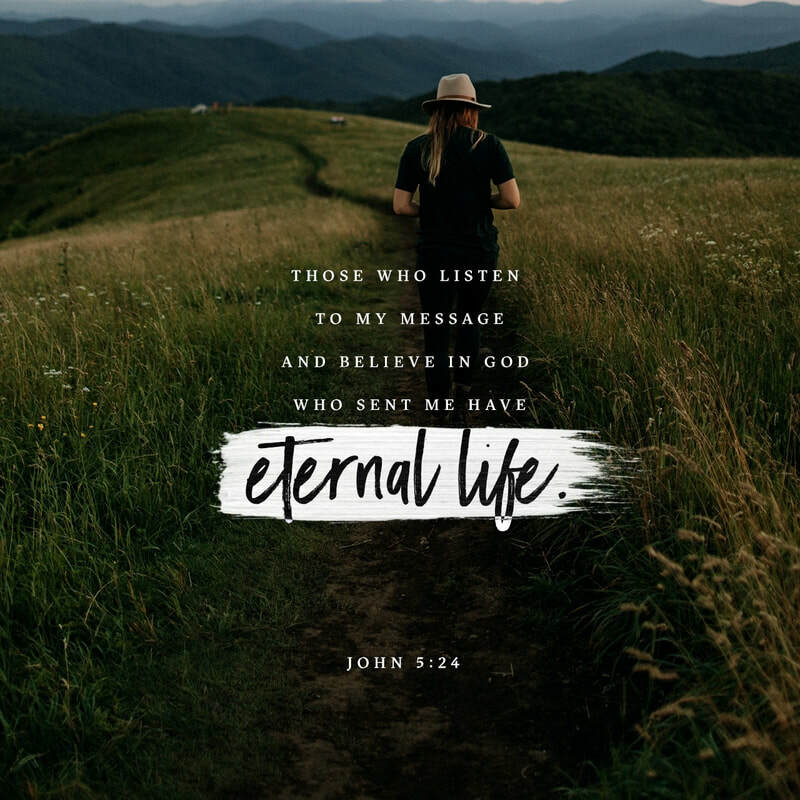 Everything you hear, read or see from a pastor or anybody else teaching on the Word of God, you should go to the scriptures to make sure the message lines up with God's Word. If the message doesn't line up with God's Word, disregard and dig deeper. 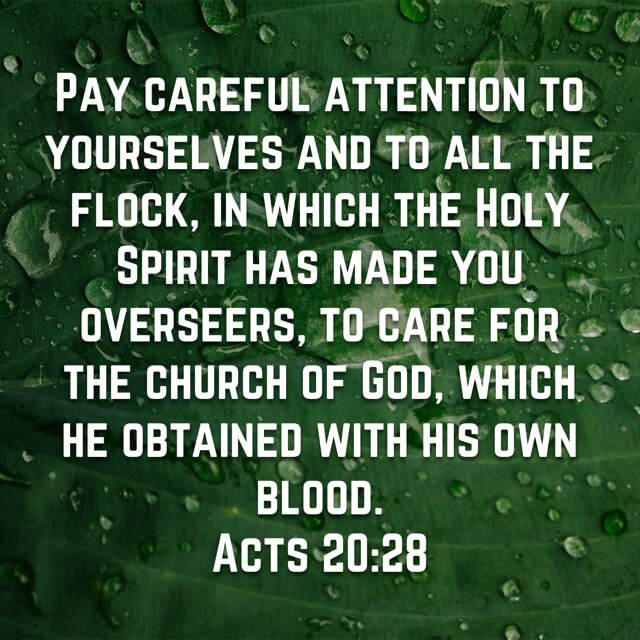 Never, Never, Never take somebody's word that "The Bible says..."
Acts 20:28 ~ "Pay careful attention to yourselves and to all the flock, in which the Holy Spirit has made you overseers, to care for the church of God, which he obtained with his own blood." Pastors are not to take their calling lightly and the church is to understand their pastor's elevated calling to lead them. 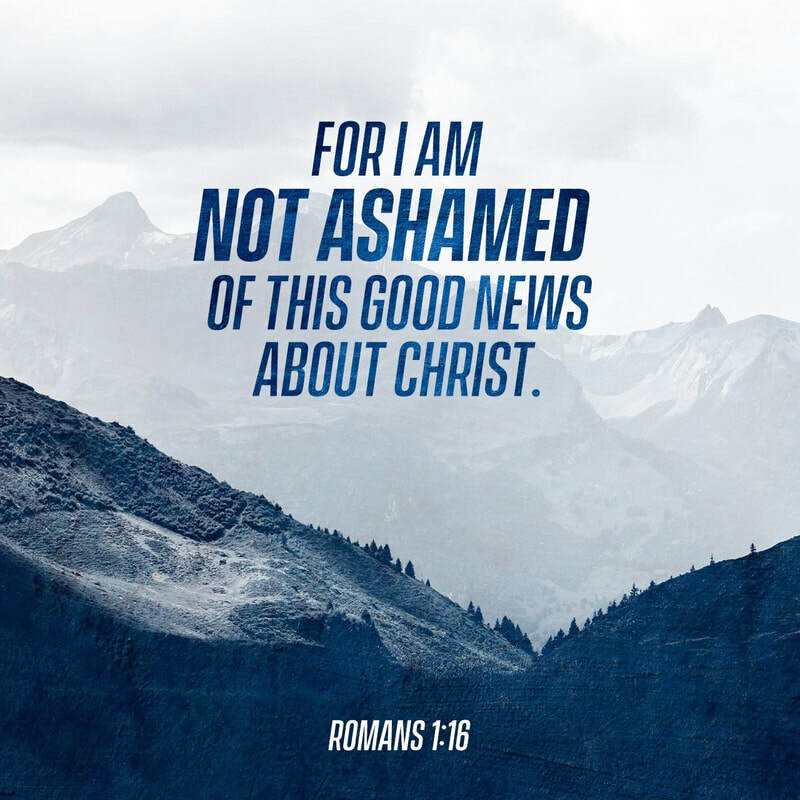 Romans 1:16 ~ "For I am not ashamed of the gospel, for it is the power of God for salvation to everyone who believes, to the Jew first and also to the Greek." We know we aren't living like we believe it. ​And sadly, because we're too busy and forget. 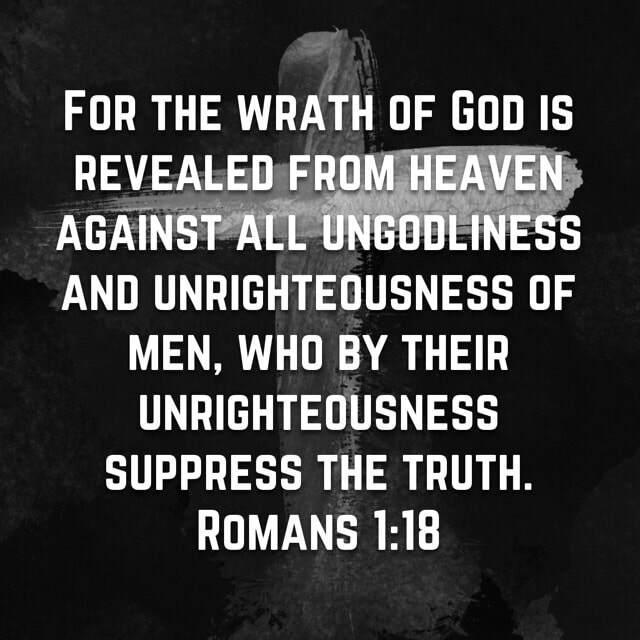 Romans 1:18 ~ "For the wrath of God is revealed from heaven against all ungodliness and unrighteousness of men, who by their unrighteousness suppress the truth." God's existence is written all over everything we see. The amount of faith required to believe in the absence of God is no less than the amount of faith to believe in God. 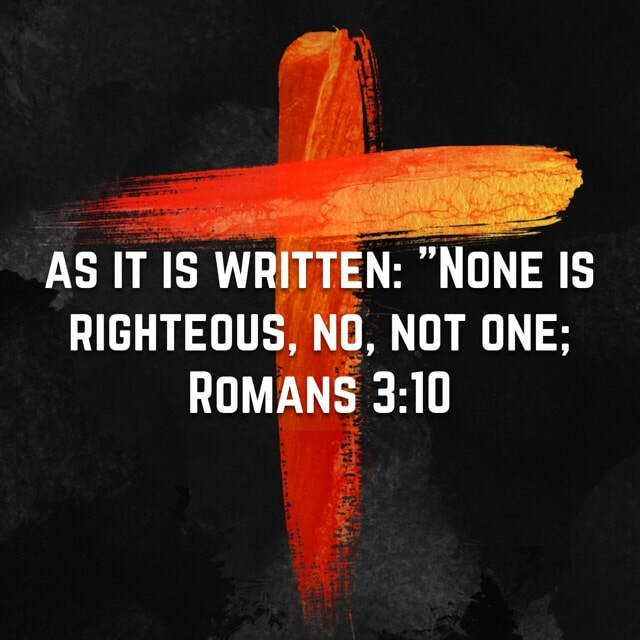 Romans 3:10 ~ "as it is written: “None is righteous, no, not one"
It's why we need Jesus, because we couldn't and can't be righteous alone. We may not like this being pointed out to us, but the truth can't be avoided. 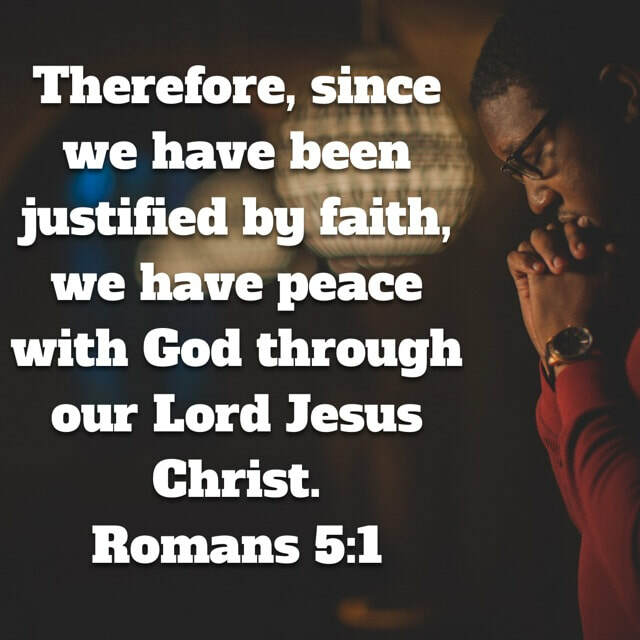 Romans 5:1 ~ "Therefore, since we have been justified by faith, we have peace with God through our Lord Jesus Christ." The good things you do for God are not what saves you. Your faith in Jesus Christ saves you, and because of what jesus did for you it compels you to work for Him. 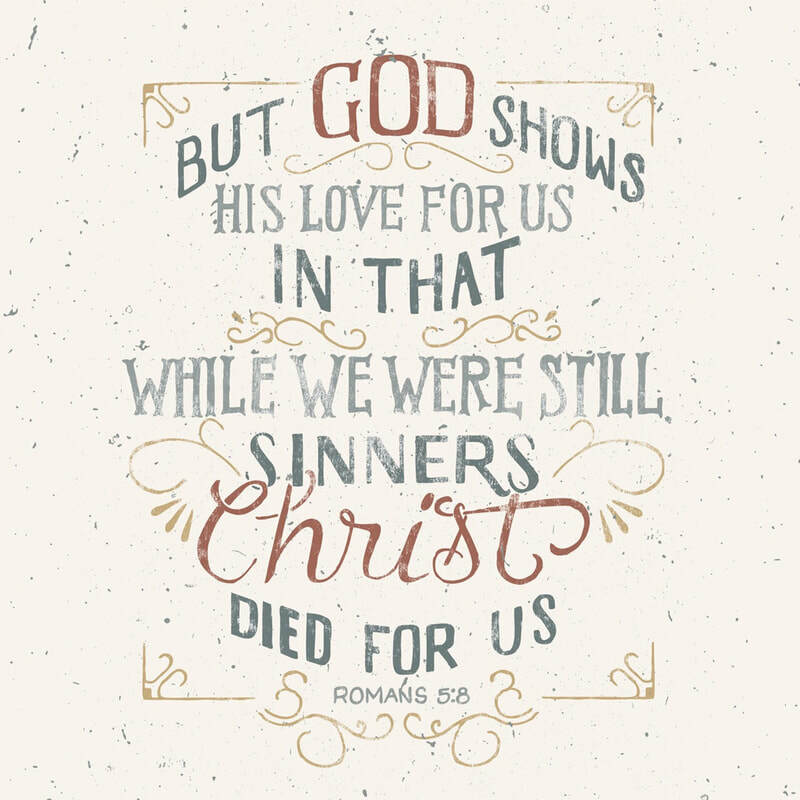 Romans 5:8 ~ "God shows his love for us in that while we were still sinners, Christ died for us." 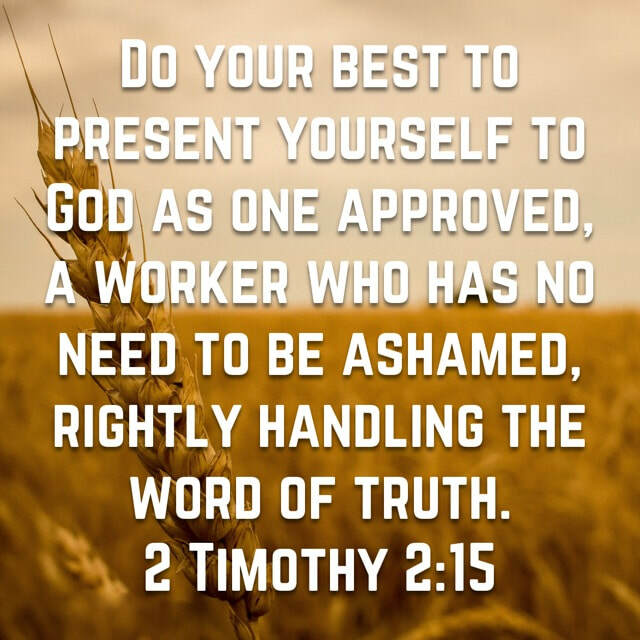 There is no test or list of work requirements to earn God's love. 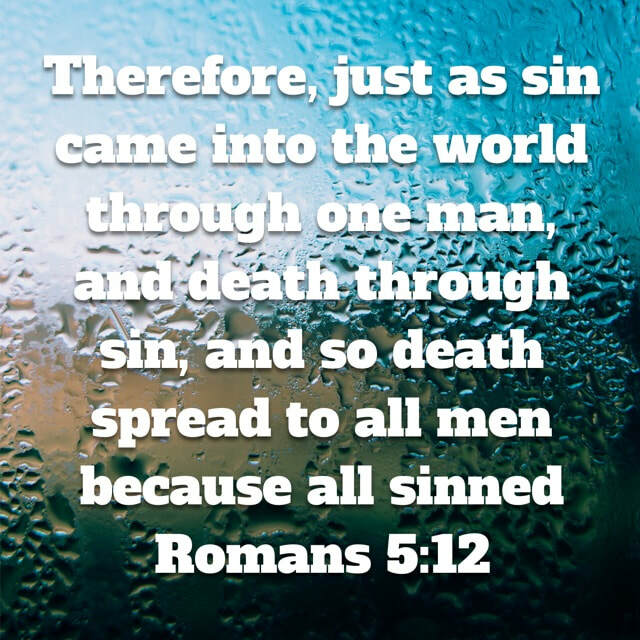 Romans 5:12 ~ "Therefore, just as sin came into the world through one man, and death through sin, and so death spread to all men because all sinned"
​Adam chose himself over God, in doing so he ensured the "sin-gene" would be passed to each of his descendants... you and me. We sin, we die, we need help. 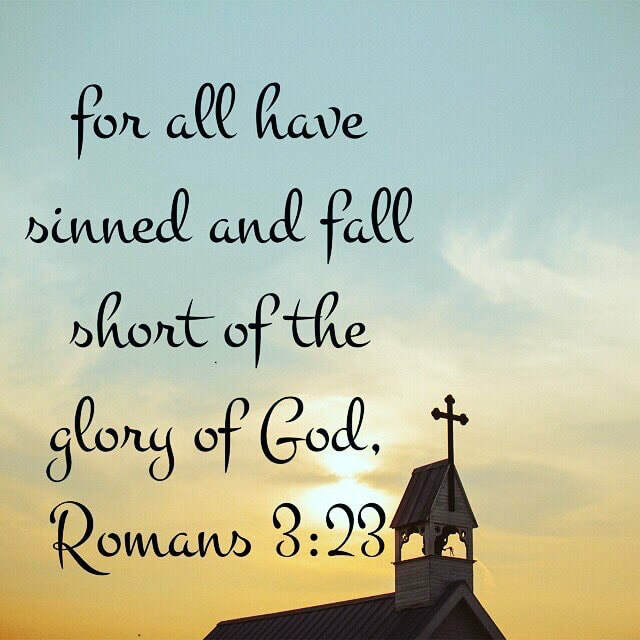 Romans 6:23 ~ " For the wages of sin is death, but the free gift of God is eternal life in Christ Jesus our Lord." 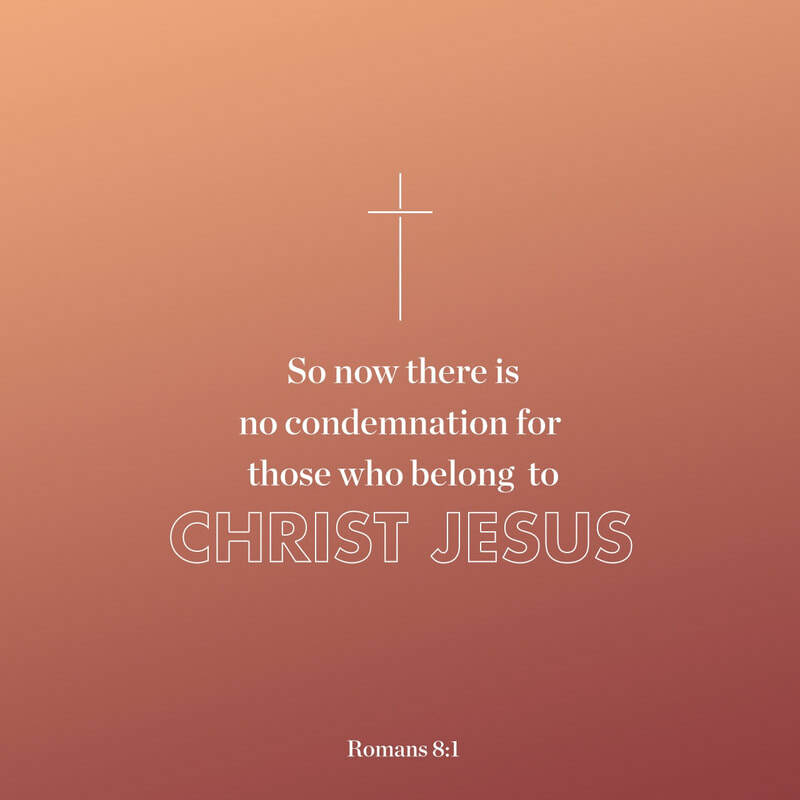 Romans 8:1 ~ "There is therefore now no condemnation for those who are in Christ Jesus." Jesus takes your sin and covers it... COMPLETELY. Romans 8:28 ~ "And we know that for those who love God all things work together for good,[a]for those who are called according to his purpose." ​The key is how you understand "good." 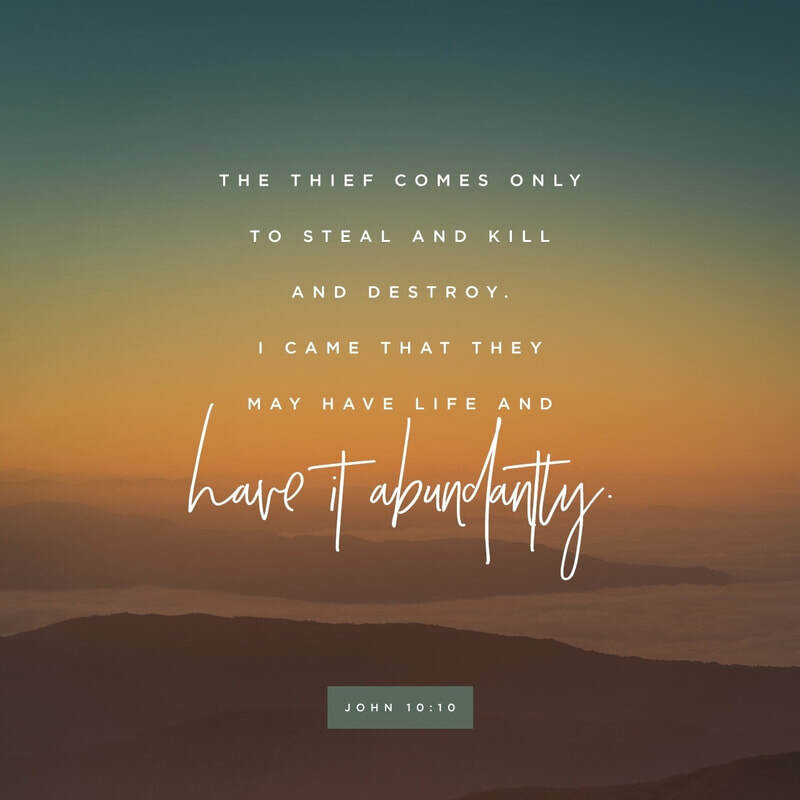 This verse is not about wealth, health, and prosperity. Rather, it is all about God and HIS plan for you. 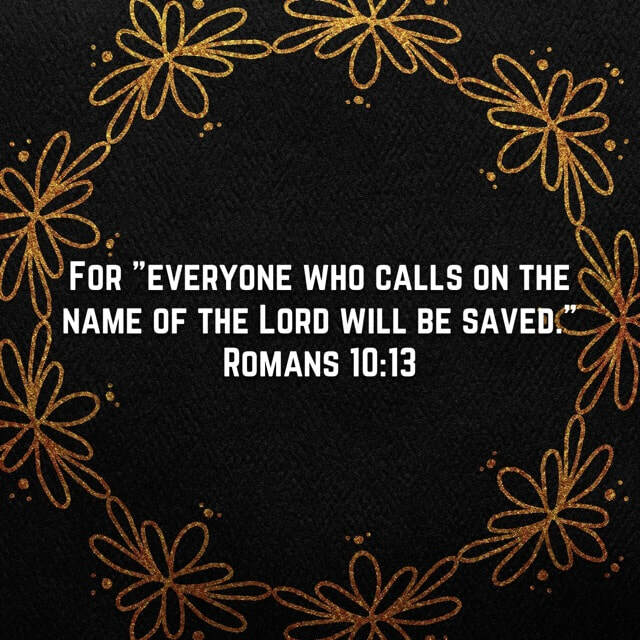 Romans 10:9 ~ "because, if you confess with your mouth that Jesus is Lord and believe in your heart that God raised him from the dead, you will be saved." 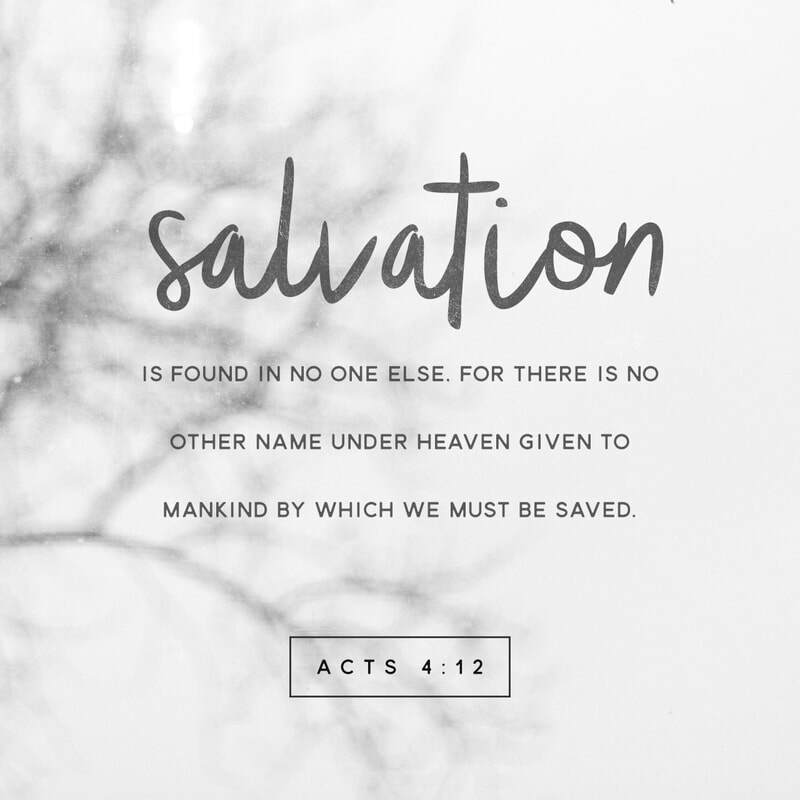 I like how this verse doesn't say, "confess Jesus as Savior," or anything similar to that. Where most people are most concerned with the "get out of hell" part they miss a very important aspect of Christianity. 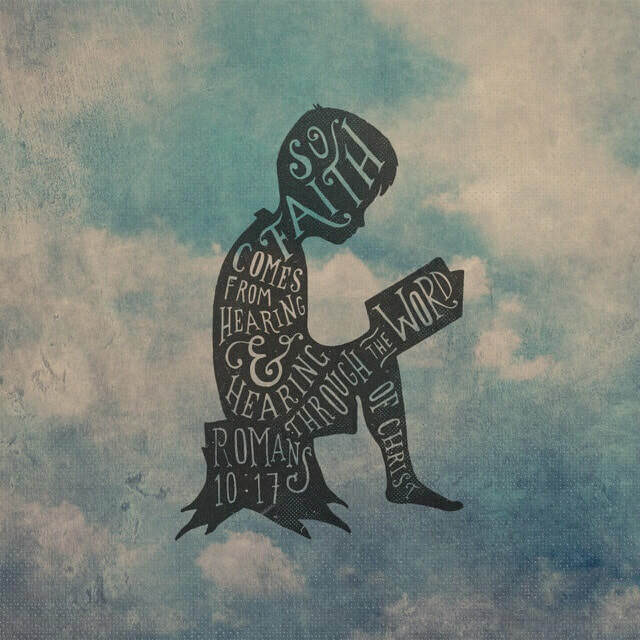 Romans 10:17 ~ " So faith comes from hearing, and hearing through the word of Christ." We HAVE to take the gospel to the world. To sit back is unacceptable, and it is allowing people to die and go into eternity without Jesus as their savior​. If a man dies and is never told about Jesus, and doesn't learn about Him from a miracle that man dies GUILTY of his sins. And we sit back and hope somebody else will do it. Aren't you glad whoever led you to Jesus didn't sit on the best news in the universe? 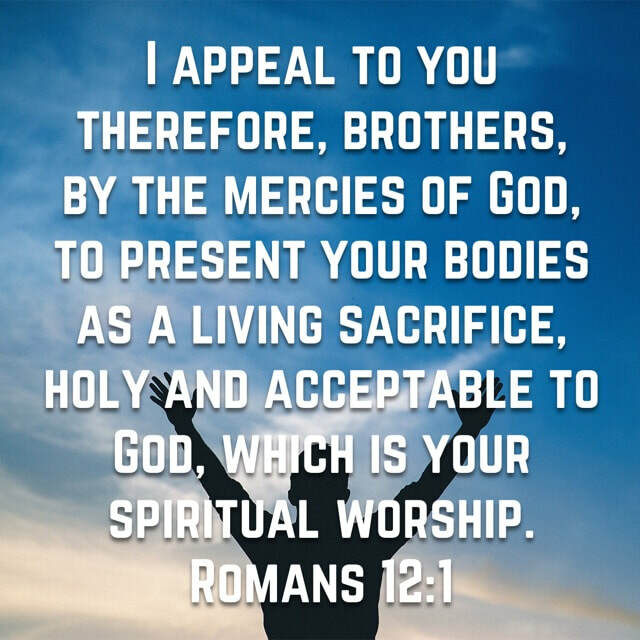 Romans 12:1 ~ "I appeal to you therefore, brothers, by the mercies of God, to present your bodies as a living sacrifice, holy and acceptable to God, which is your spiritual worship." 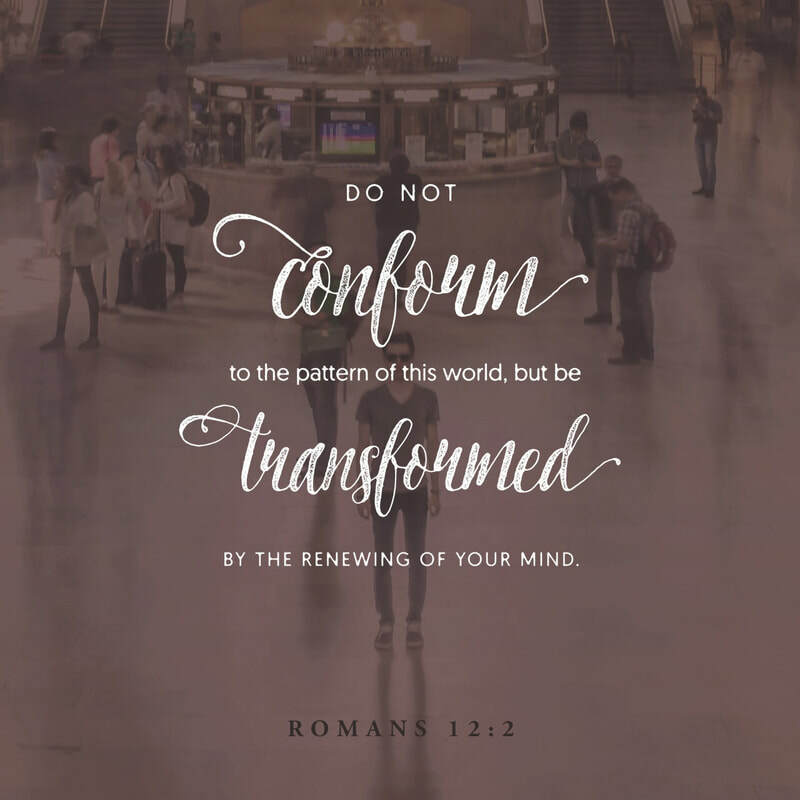 Romans 12:2 ~ " Do not be conformed to this world, but be transformed by the renewal of your mind, that by testing you may discern what is the will of God, what is good and acceptable and perfect." Don't choose a path simply because it has the least resistance. 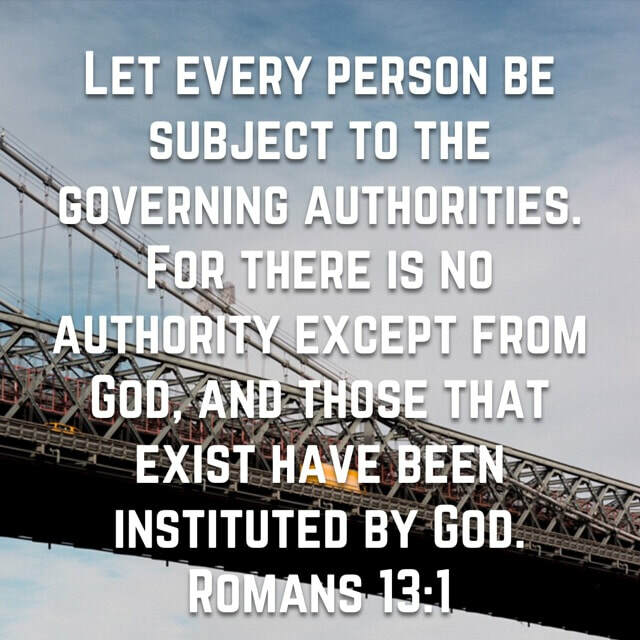 Romans 13:1 ~ "Let every person be subject to the governing authorities. For there is no authority except from God, and those that exist have been instituted by God." 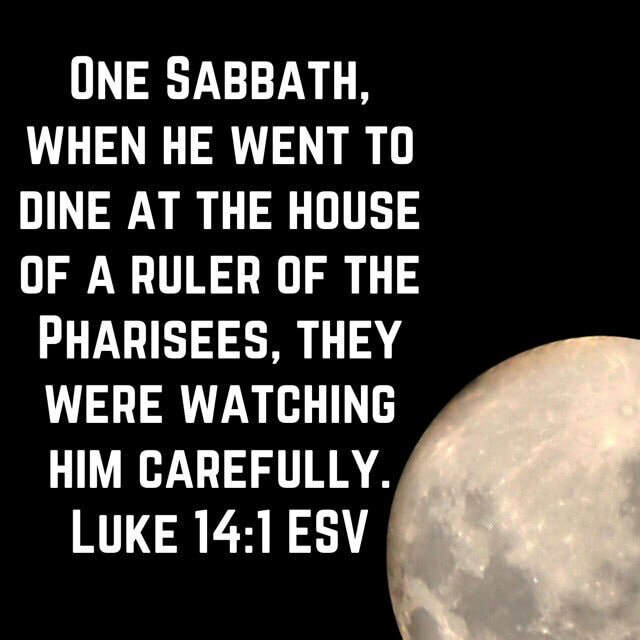 Humble submissiveness, to our rulers and leaders. It's hard, and we don't like it. 1 Corinthians​ 6:9-11 ~ "9Or do you not know that the unrighteous will not inherit the kingdom of God? Do not be deceived: neither the sexually immoral, nor idolaters, nor adulterers, nor men who practice homosexuality, 10 nor thieves, nor the greedy, nor drunkards, nor revilers, nor swindlers will inherit the kingdom of God. 11 And such were some of you. 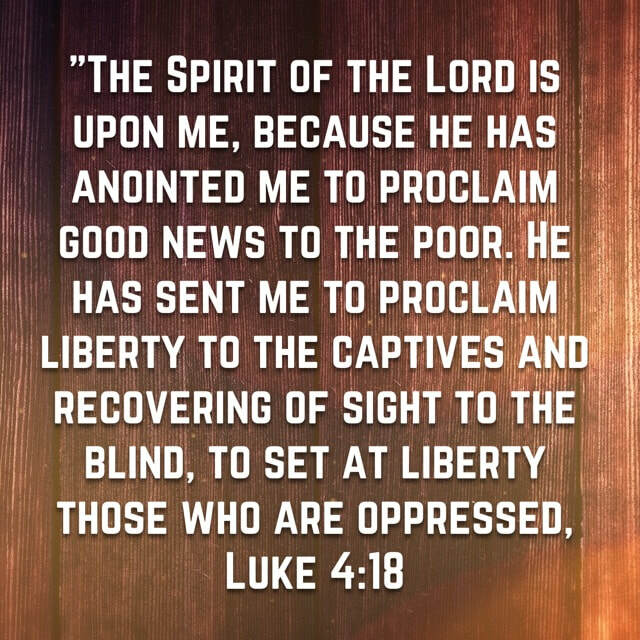 But you were washed, you were sanctified, you were justified in the name of the Lord Jesus Christ and by the Spirit of our God. ​2 Corinthians​ 5:17 ~ Therefore, if anyone is in Christ, he is a new creation. The old has passed away; behold, the new has come. Galatians 2:20 ~ "I have been crucified with Christ. 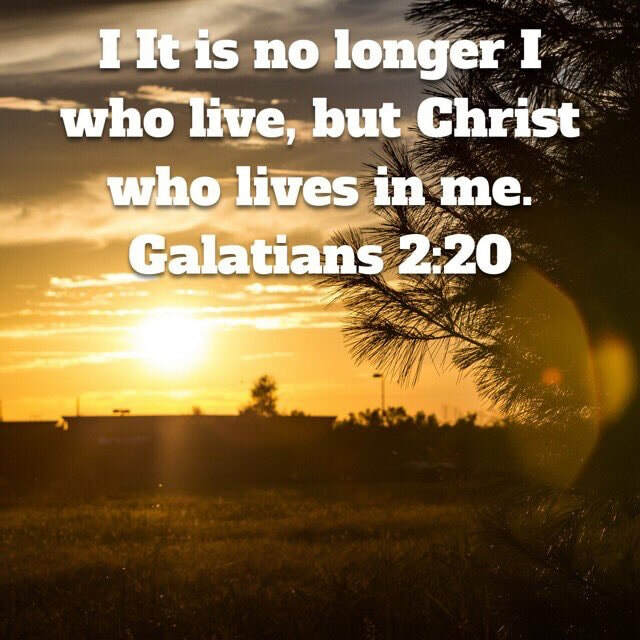 It is no longer I who live, but Christ who lives in me. 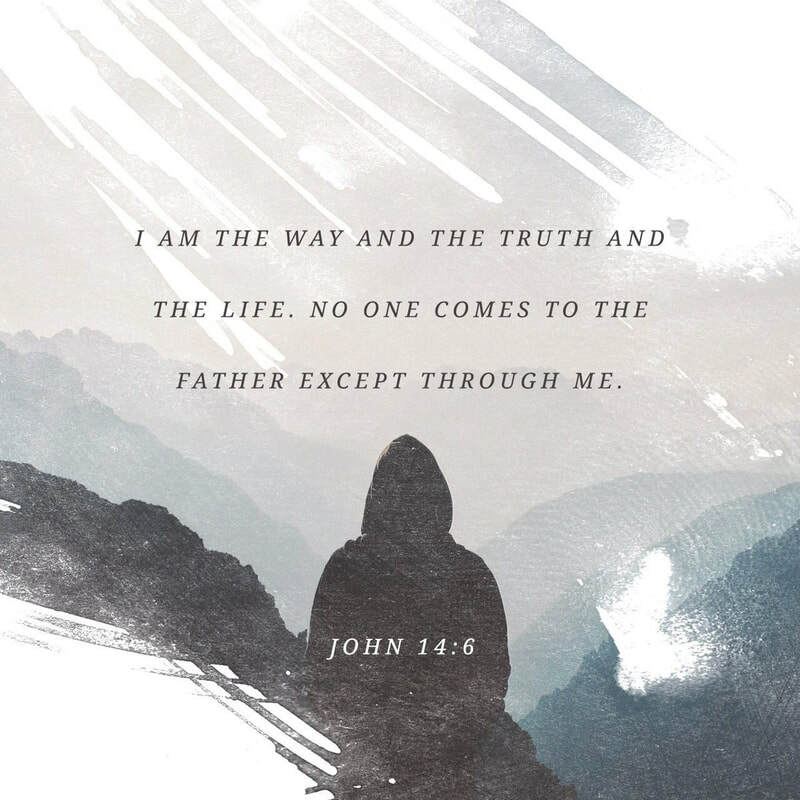 And the life I now live in the flesh I live by faith in the Son of God, who loved me and gave himself for me." 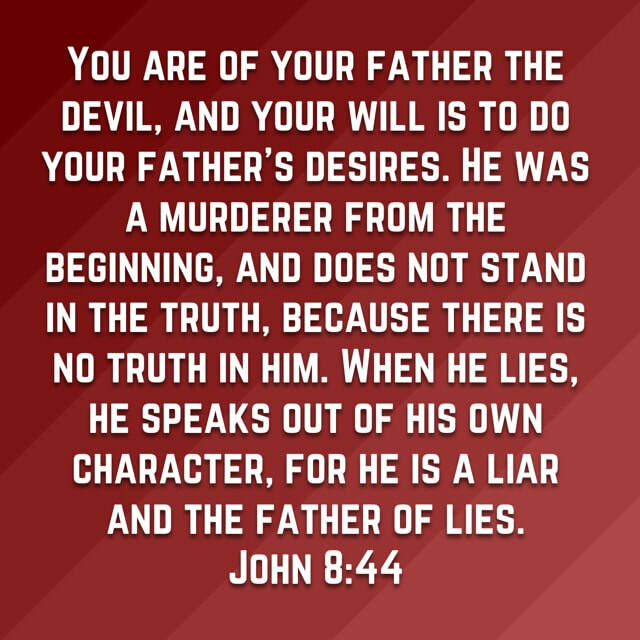 As believers in Jesus we have to sacrifice the idol of ourself, and become His. 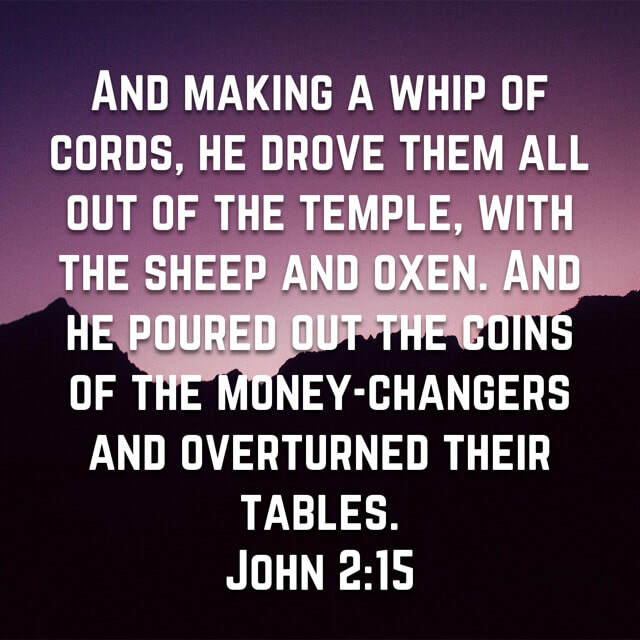 We want to do things our way, but when you come to Jesus you give that up to a very large extent. 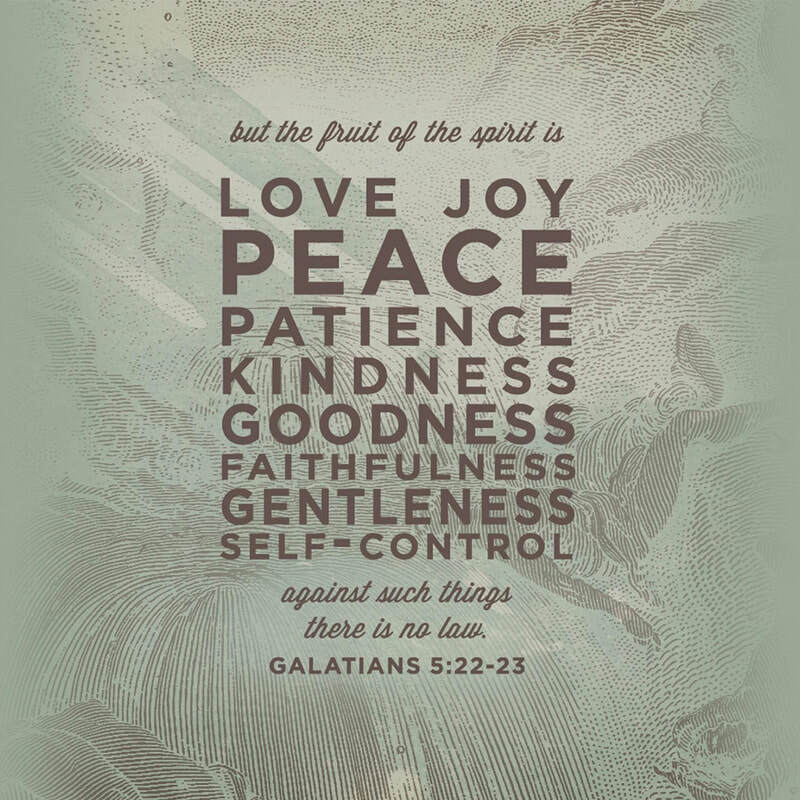 Galatians 5:22-23 ~ "But the fruit of the Spirit is love, joy, peace, patience, kindness, goodness, faithfulness, gentleness, self-control; against such things there is no law." I have never seen a law pass to make people stop doing the things on this list. 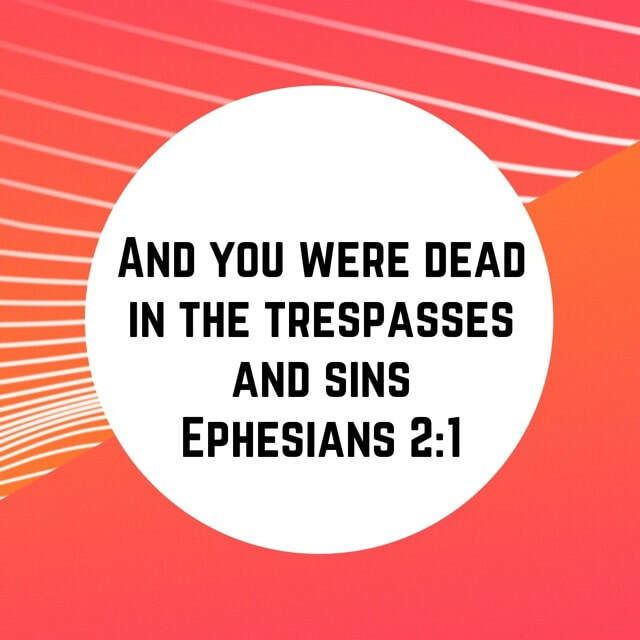 Ephesians 2:1 ~ "And you were dead in the trespasses and sins"
We must never forget that we were already dead, in line for eternal separation from God, but He stepped down to rescue us. We were not "mostly good" before we accept Christ, we were inclined toward evil. Nobody had to teach us to lie, instead we had to be taught honesty. 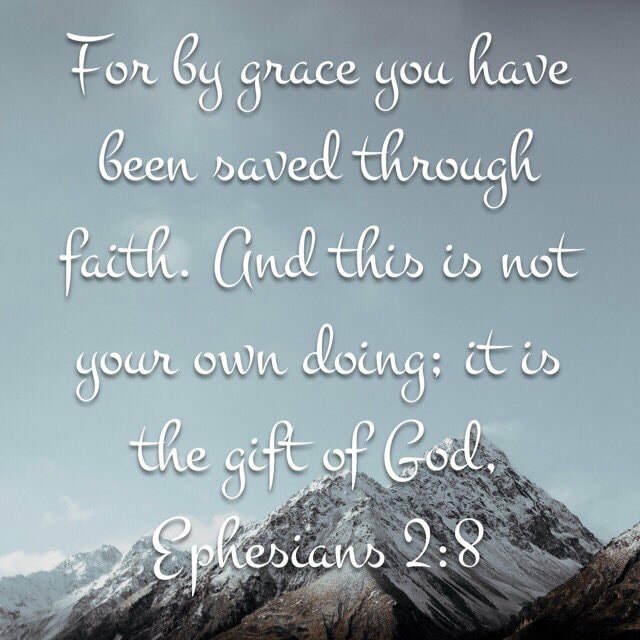 Ephesians​ 2:8 ~ "For by grace you have been saved through faith. And this is not your own doing; it is the gift of God"
God's mercy and your faith. 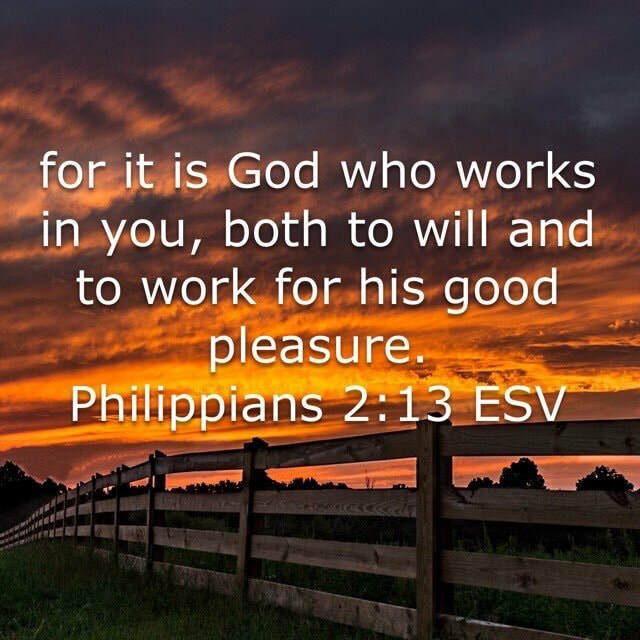 God does the work, and you believe He has. There is no great achievement that you must do to be saved. 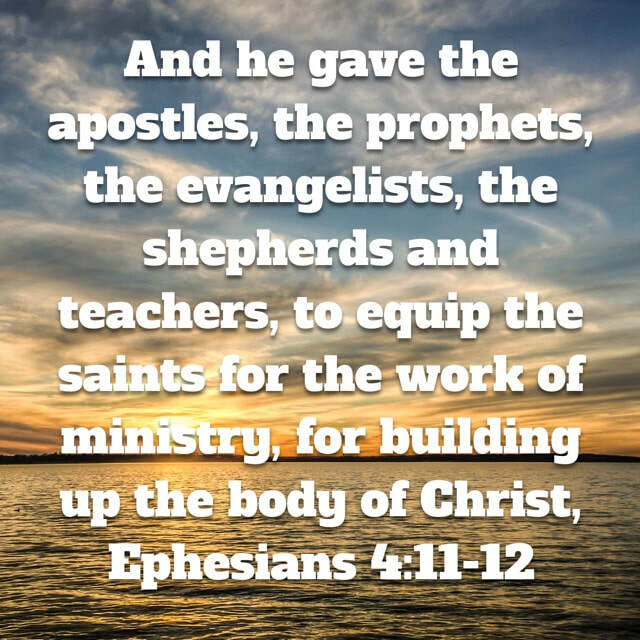 Ephesians 4:11 & 12 ~ "And he gave the apostles, the prophets, the evangelists, the shepherds and teachers, 12 to equip the saints for the work of ministry, for building up the body of Christ"
Jesus didn't leave us to figure everything out on our own, but He gave us people with certain gifts, who could help us learn and put that learning to action. 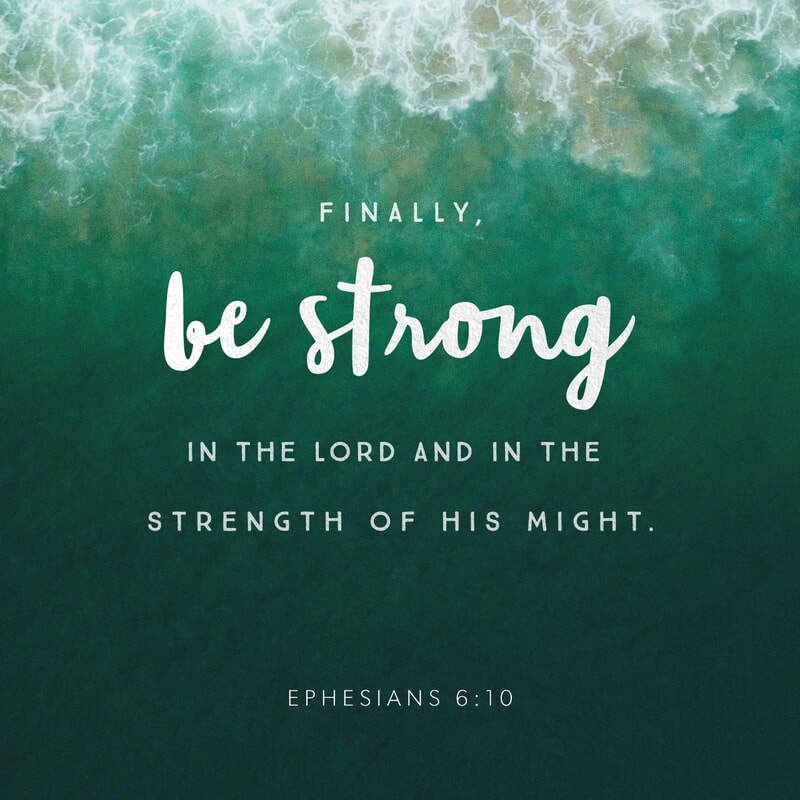 Ephesians 6:10 ~ "Finally, be strong in the Lord and in the strength of his might." We don't have to be strong on our own, or rely on own power. It's His power and strength we need to rely on. 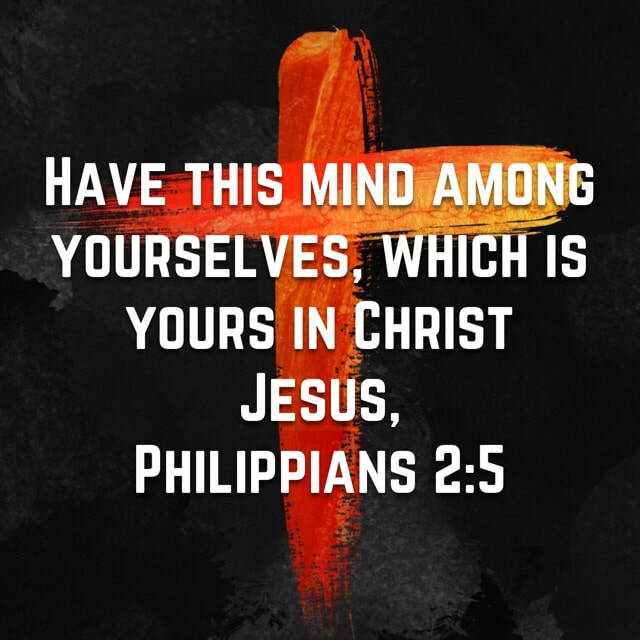 Philippians 2:5 ~ "Have this mind among yourselves, which is yours in Christ Jesus"
Always be considering what is best for others. Don't make decisions simply because it's what best for you. 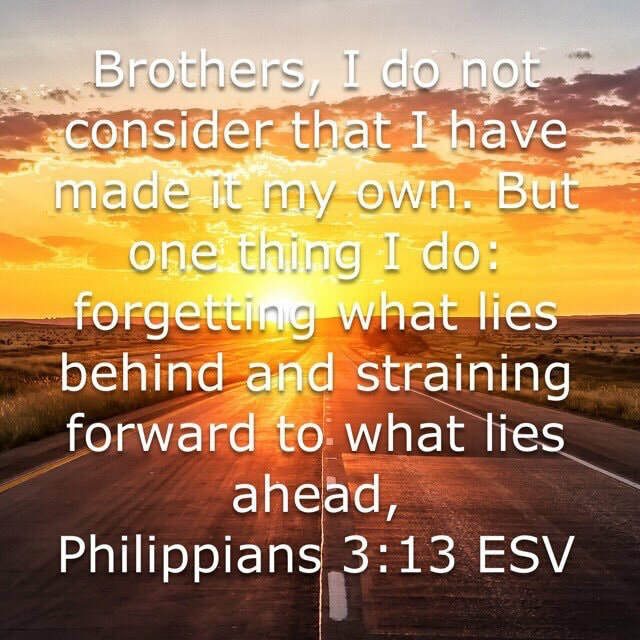 Philippians 3:13 ~ "Brothers, I do not consider that I have made it my own. But one thing I do: forgetting what lies behind and straining forward to what lies ahead,"
This is one of my favorite verses. So many people, me included, have the tendency to get caught up in their past. Those who accomplished something good lean on that good deed, and those who have done bad are crippled by that mistake. 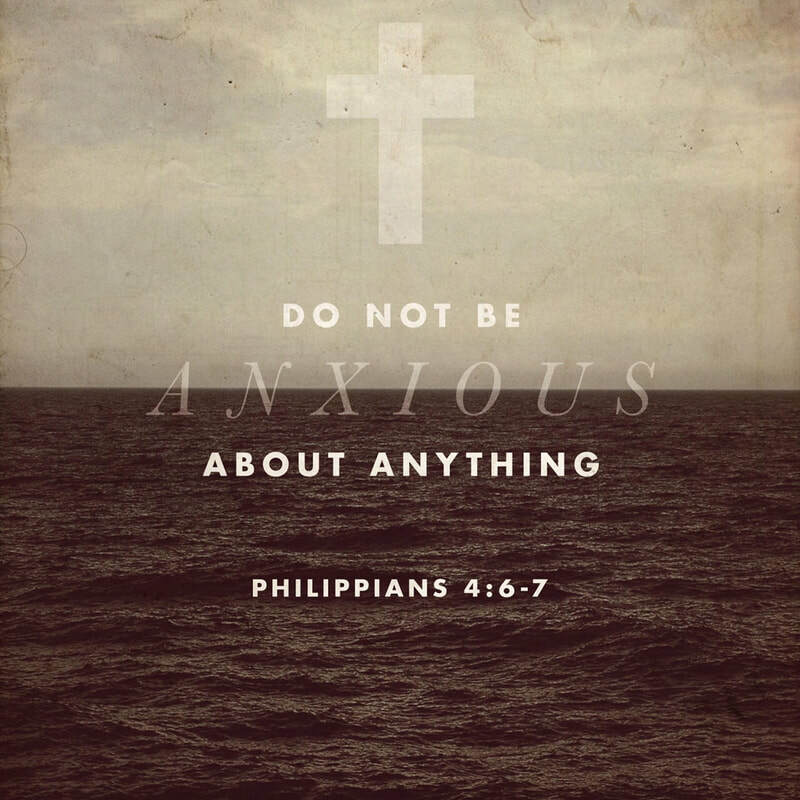 Philippians 4:6 ~ "do not be anxious about anything, but in everything by prayer and supplication with thanksgiving let your requests be made known to God." It's a lot easy to tell people to do this than it is to do it yourself. The older I get the harder it is for me not to worry. It's as though the more I learn, the more I know that could go wrong. 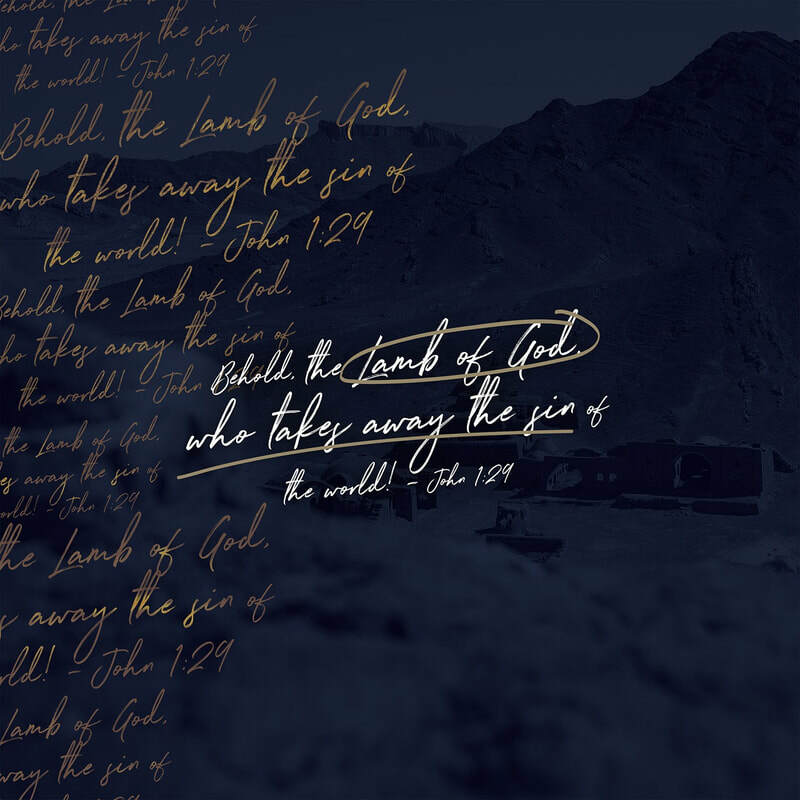 ​It takes faith, but this is essentially what Job 2:10 and Job2ten is about, giving God honor, praise, glory, and ourselves in all circumstances. 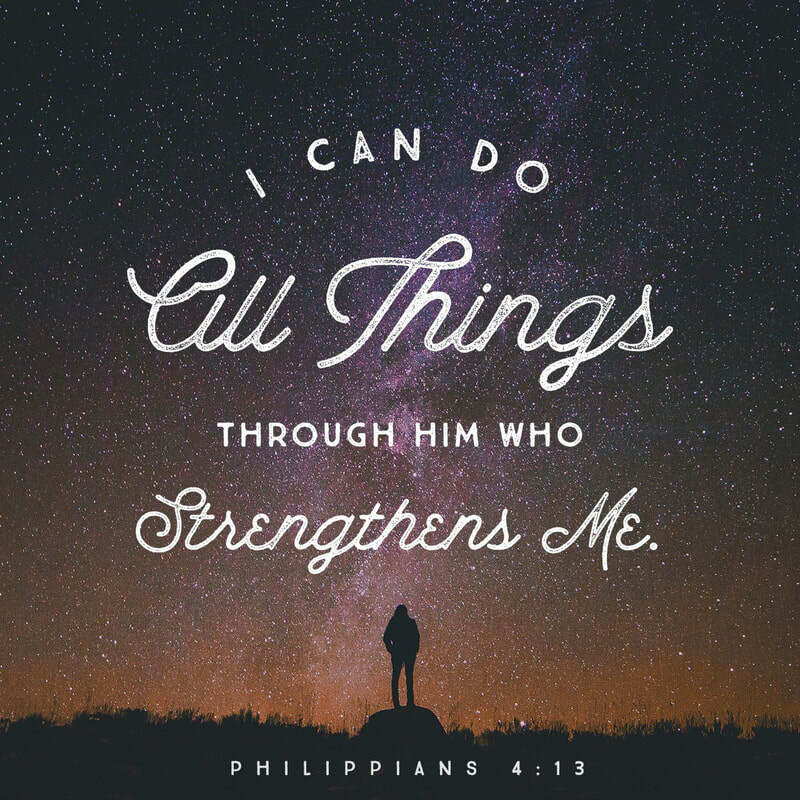 Philippians 4:13 ~ " I can do all things through him who strengthens me." This verse has become one of the most quoted, especially among athletes. 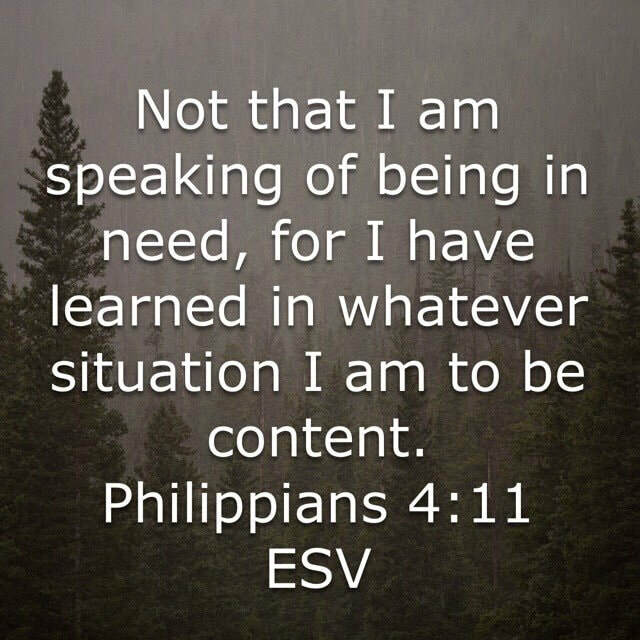 It is important to look at the ver before it to get the context of what Paul is saying. Paul says, " I know how to be brought low, and I know how to abound. In any and every circumstance, I have learned the secret of facing plenty and hunger, abundance and need." 2 Thessalonians 1:5 ~ "This is evidence of the righteous judgment of God, that you may be considered worthy of the kingdom of God, for which you are also suffering"
Most people are concerned when they are going through hard times, but a better concern would be when you aren't going through difficulties. 1 Timothy 3:4 ~ "He must manage his own household well, with all dignity keeping his children submissive,"
Philemon 1:4 ~ "I thank my God always when I remember you in my prayers"
​We all have people in our lives that contribute so much to our happiness and joy. But, how often do we tell them how appreciated and loved they are? 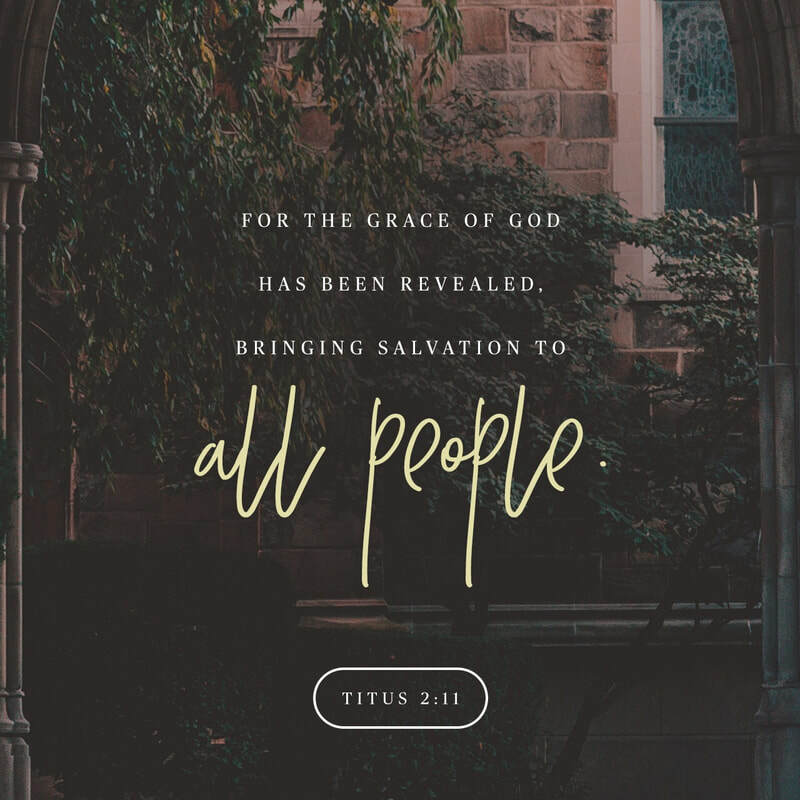 ​Titus 3:5 ~ "he saved us, not because of works done by us in righteousness, but according to his own mercy, by the washing of regeneration and renewal of the Holy Spirit,"
Hebrews 4:12 ~ "For the word of God is living and active, sharper than any two-edged sword, piercing to the division of soul and of spirit, of joints and of marrow, and discerning the thoughts and intentions of the heart." ​Rely less on your reasoning or creative skills to bring people to Jesus. 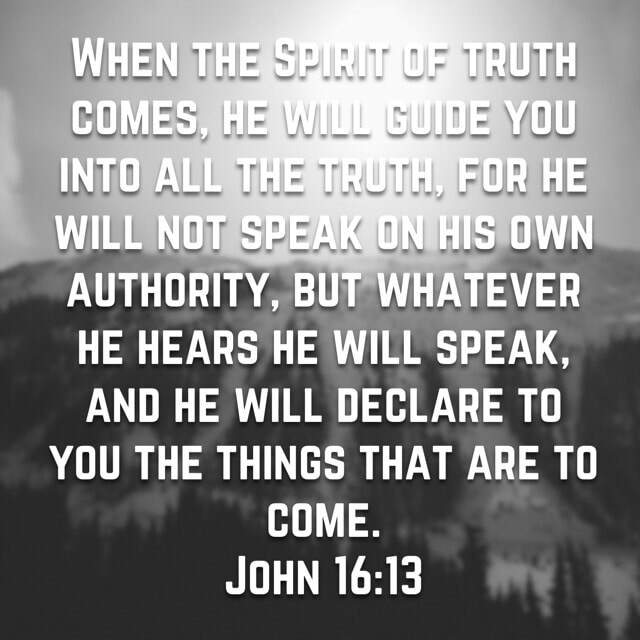 God's Words and the Holy Spirit are much better equipped for it. 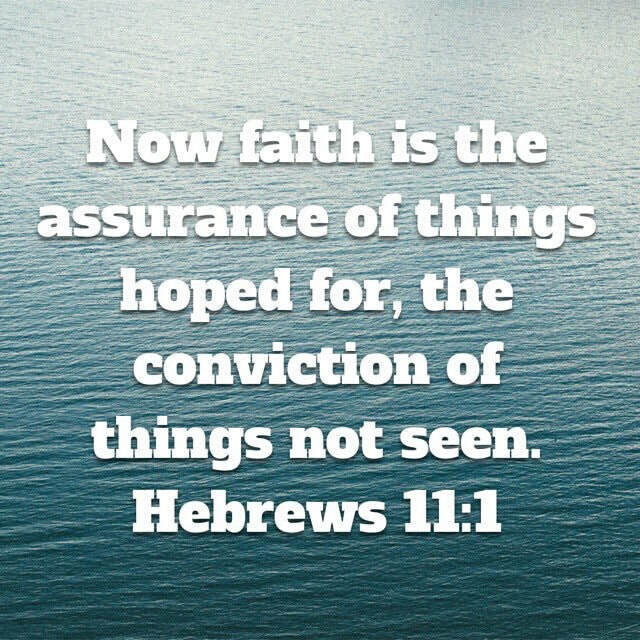 Hebrews 11:1 ~ "Now faith is the assurance of things hoped for, the conviction of things not seen." Faith is one of the hardest things to describe and comprehend. Some people have used the example of "knowing/trusting" that a chair will support your weight, and I suppose that works to a degree. 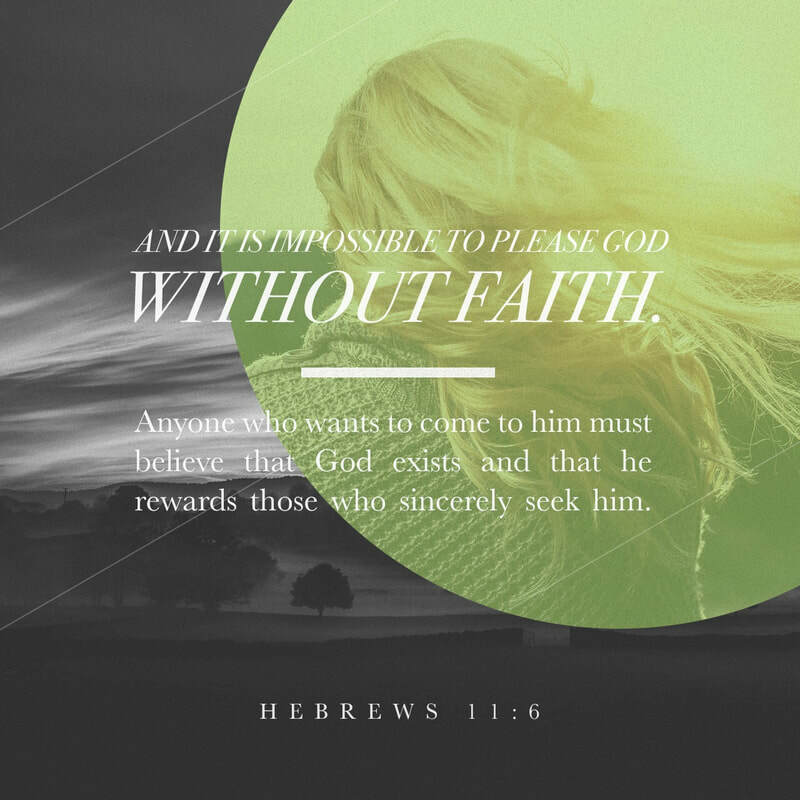 Hebrews 11:6 ~ "And without faith it is impossible to please God, because anyone who comes to him must believe that he exists and that he rewards those who earnestly seek him." ​You can't find God unless you have faith. 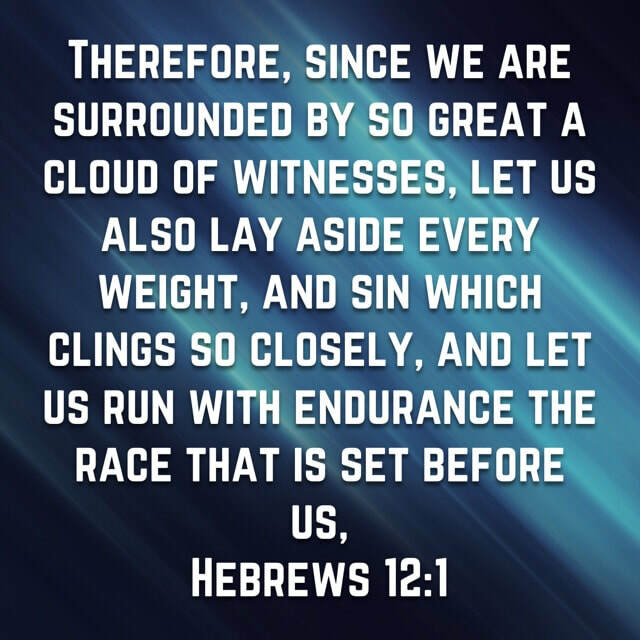 Hebrews 12:1 ~ "Therefore, since we are surrounded by so great a cloud of witnesses, let us also lay aside every weight, and sin which clings so closely, and let us run with endurance the race that is set before us"
What's holding you back from living your life to win people to Jesus? It could be quite a few things: fear, laziness, apathy? 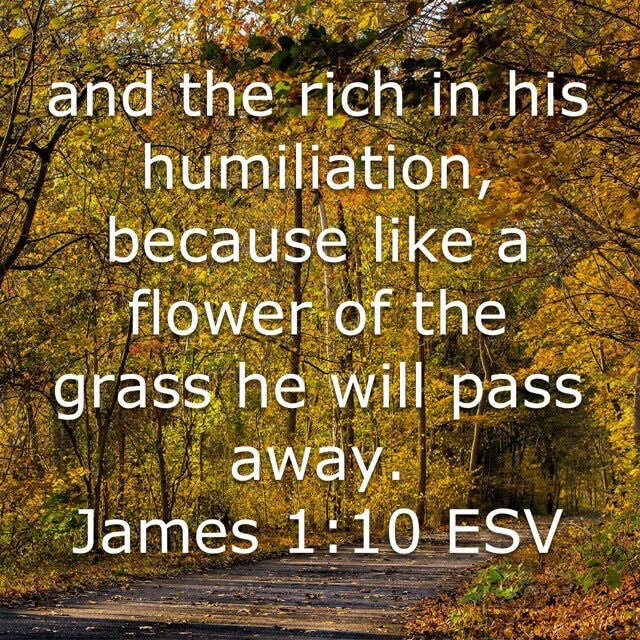 James 1:9-11 ~ 9 Let the lowly brother boast in his exaltation, 10 and the rich in his humiliation, because like a flower of the grass he will pass away. 11 For the sun rises with its scorching heat and withers the grass; its flower falls, and its beauty perishes. So also will the rich man fade away in the midst of his pursuits. 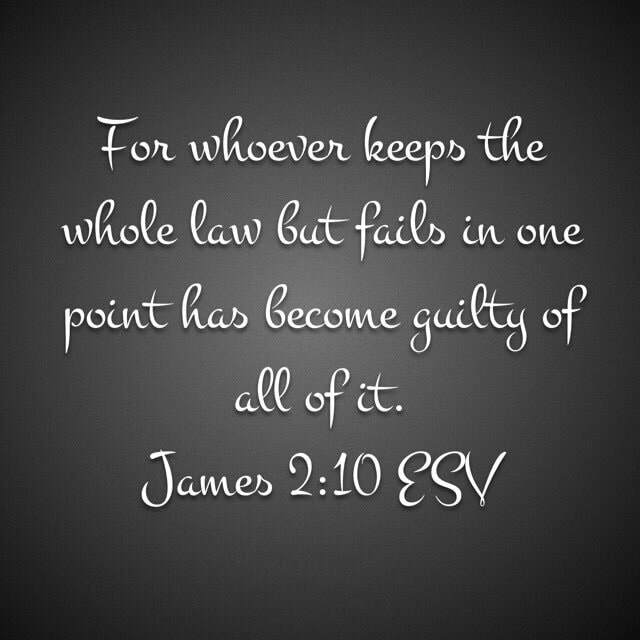 ​James 2:10 ~ "For whoever keeps the whole law but fails in one point has become guilty of all of it." 1 Peter 2:15 ~ "For this is the will of God, that by doing good you should put to silence the ignorance of foolish people." 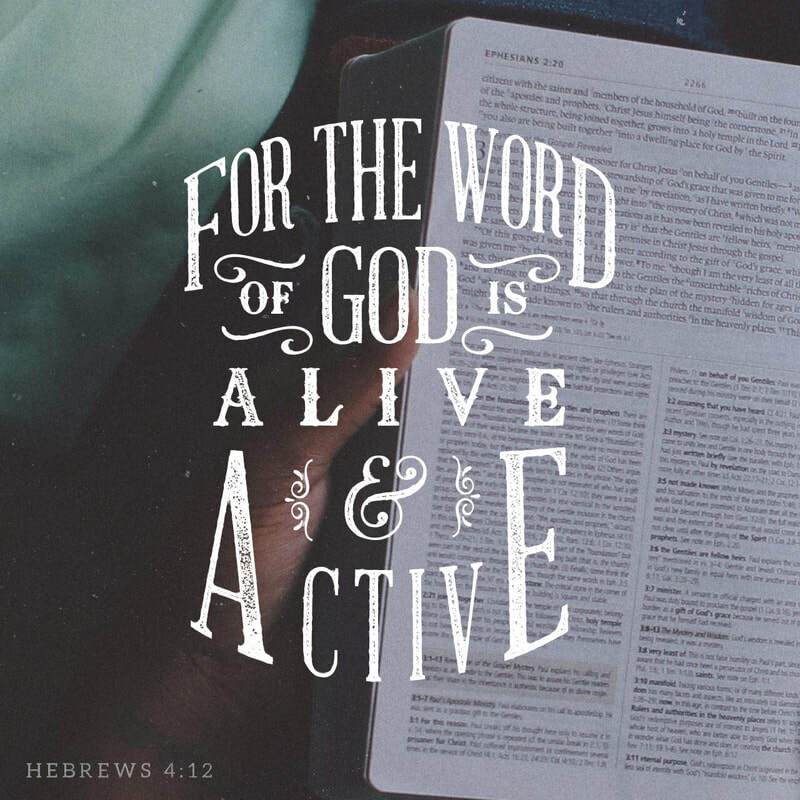 1 Peter 3:15 ~ "but in your hearts honor Christ the Lord as holy, always being prepared to make a defense to anyone who asks you for a reason for the hope that is in you; yet do it with gentleness and respect,"
​There is only one way to do this truly and effectively and that is to read God's Word. 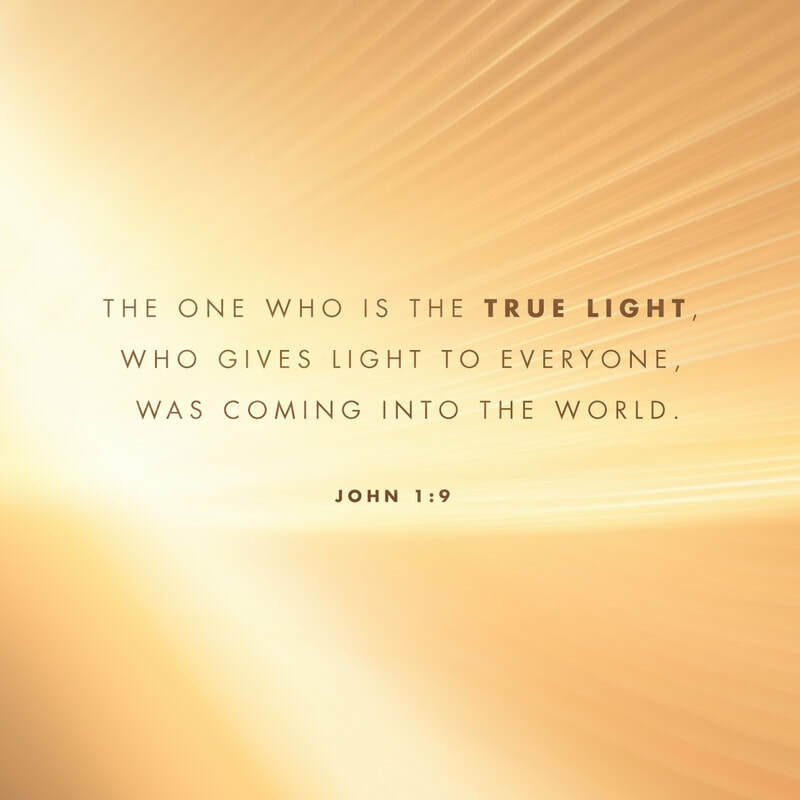 1 Peter 3:18 ~ "For Christ also suffered once for sins, the righteous for the unrighteous, that he might bring us to God, being put to death in the flesh but made alive in the spirit"
3 John 1:4 ~ "I have no greater joy than to hear that my children are walking in the truth." 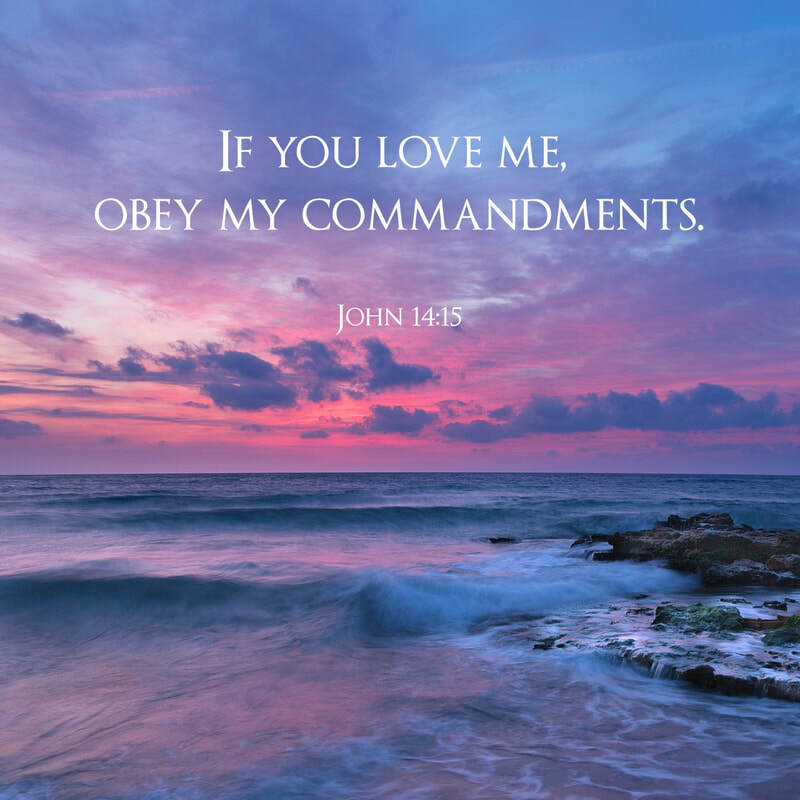 Jude 1:4 ~ "For certain people have crept in unnoticed who long ago were designated for this condemnation, ungodly people, who pervert the grace of our God into sensuality and deny our only Master and Lord, Jesus Christ." ​Grace, when fully understood, will not be taken advantage of. Revelation 3:20 ~ "Behold, I stand at the door and knock. If anyone hears my voice and opens the door, I will come in to him and eat with him, and he with me." 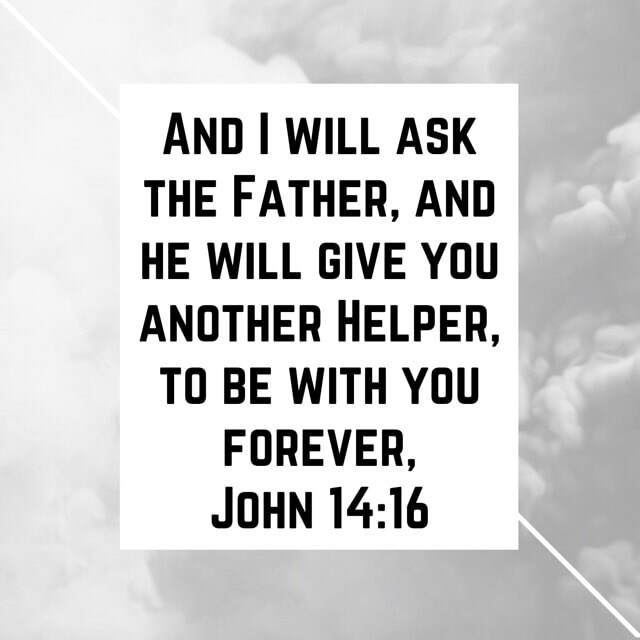 Jesus does the work, He comes to you, He beckons for you to allow Him in, but He will not force you.